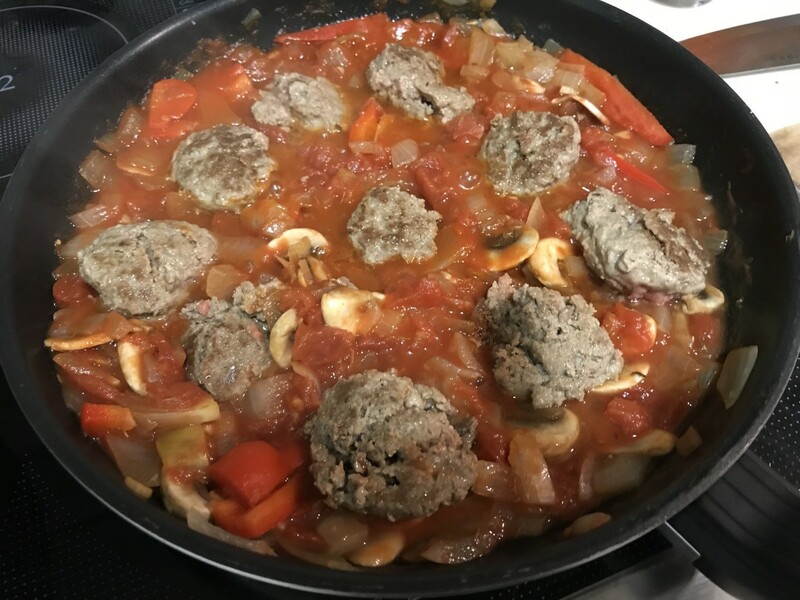 Quick and easy recipe for spaghetti sauce without garlic and/or onions. 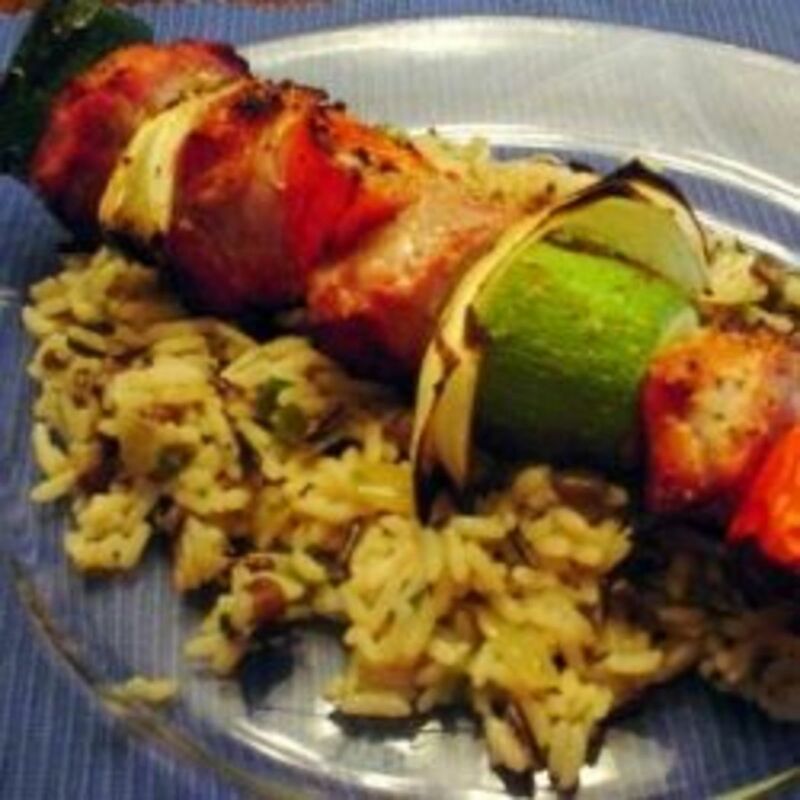 Flavorful recipe with delicious ingredients. Great for sulfite-free diets. 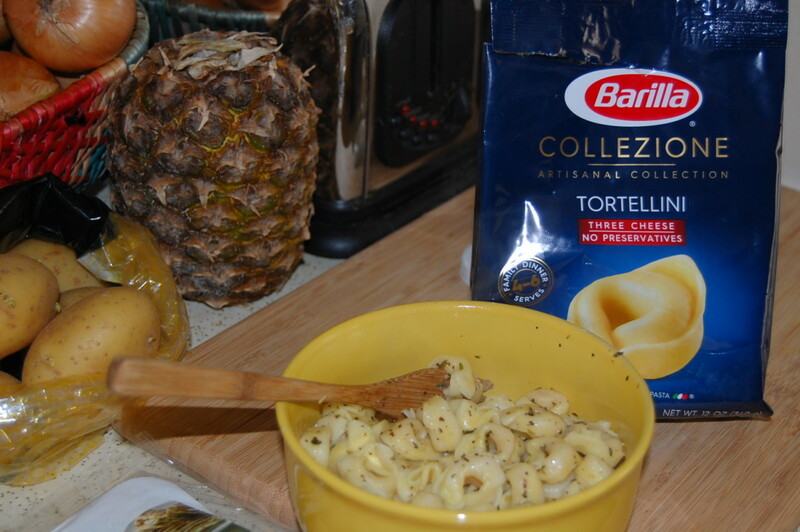 I gave the new Barilla Collezione three cheese tortellini a try, and here are my thoughts on it. 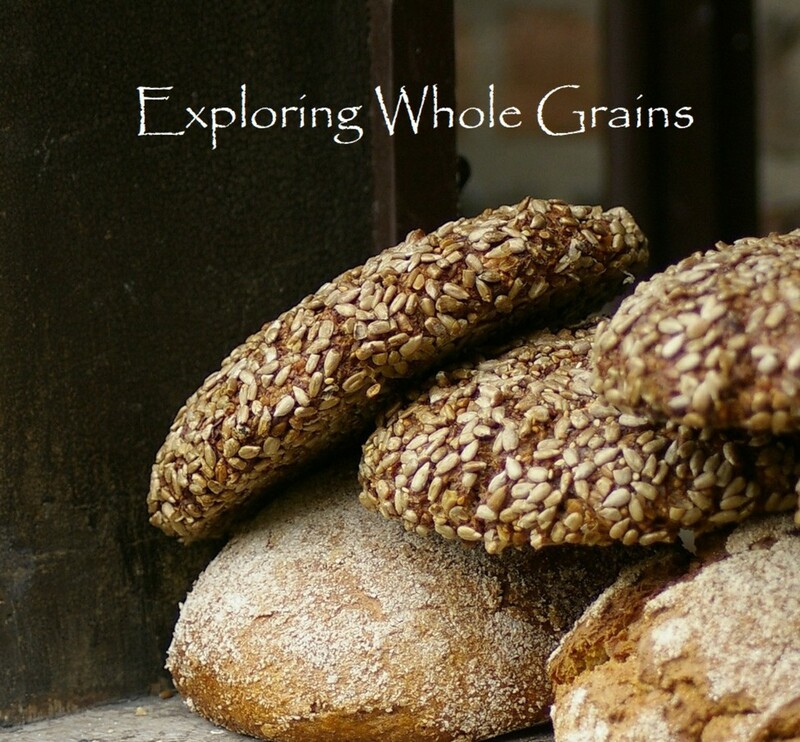 Whole grains are not just another food fad. Research proves that they are nutritional dynamite and should be a part of your daily diet. Here's information on how to cook and make them the focus of your meal plan. 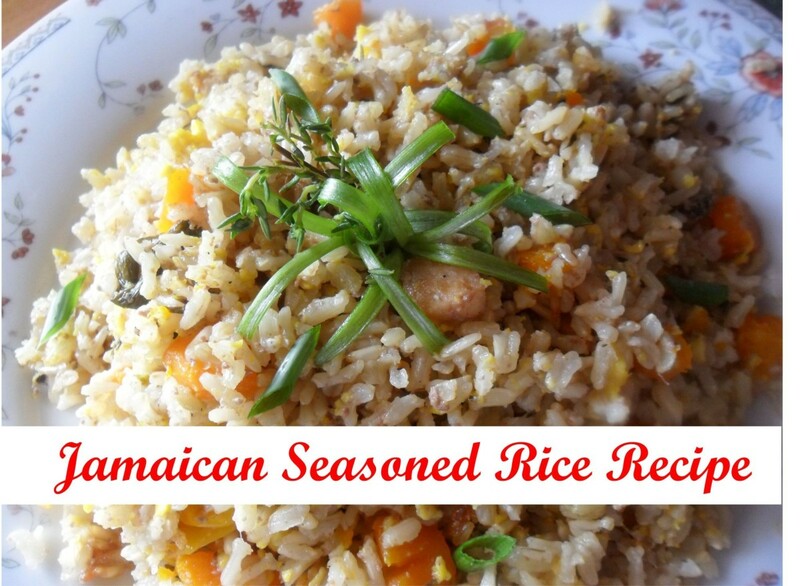 Try this tasty one pot meal rice recipe. It is both nutritious and delicious. Easy to prepare. This is an incredibly easy lasagna recipe that I have been making for my family for nearly 30 years! I found it originally in the Better Homes and Garden cookbook, but since then have made my own simple variations. 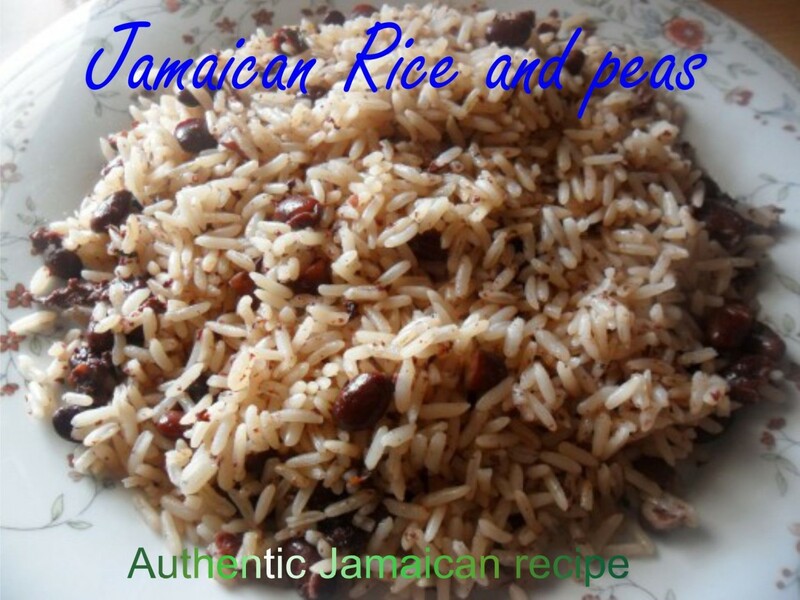 A step by step guide on how to make the traditional Jamaican rice and peas dish. 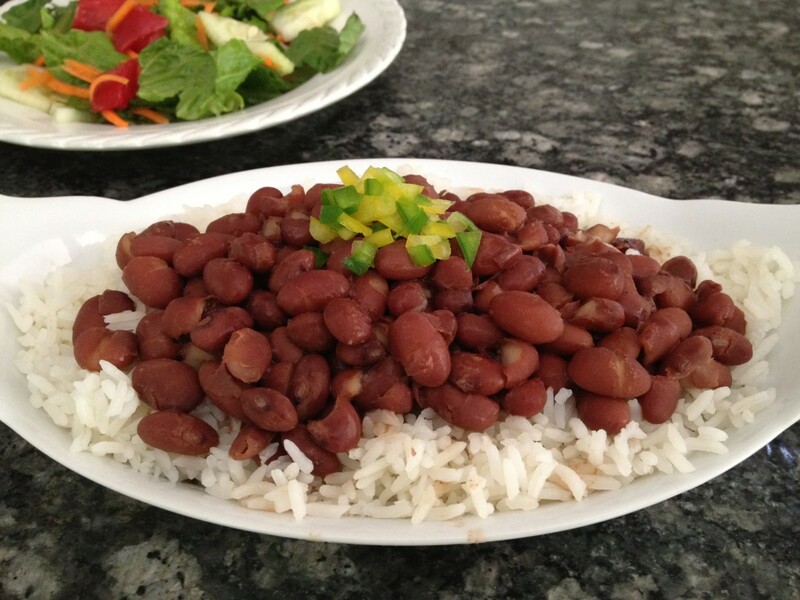 This dish is made with red kidney beans and very tasty! 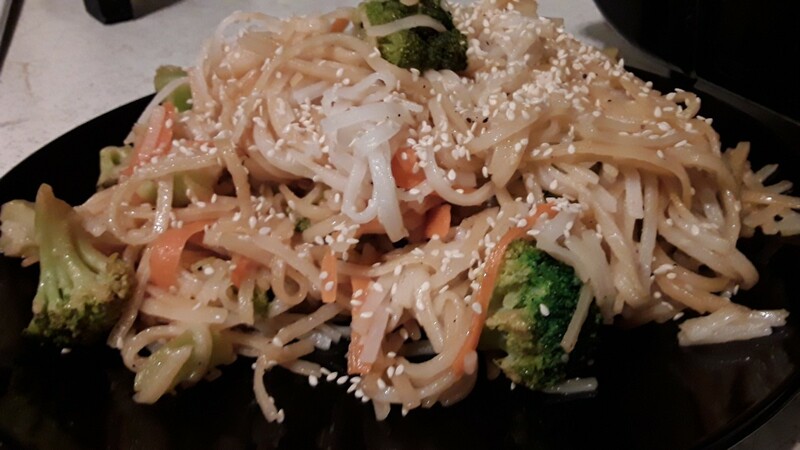 Make Pad Thai at home with this easy and delicious meatless recipe! An interesting mix of ingredients makes this meal healthy and flavorful and also keeps the sodium in check. 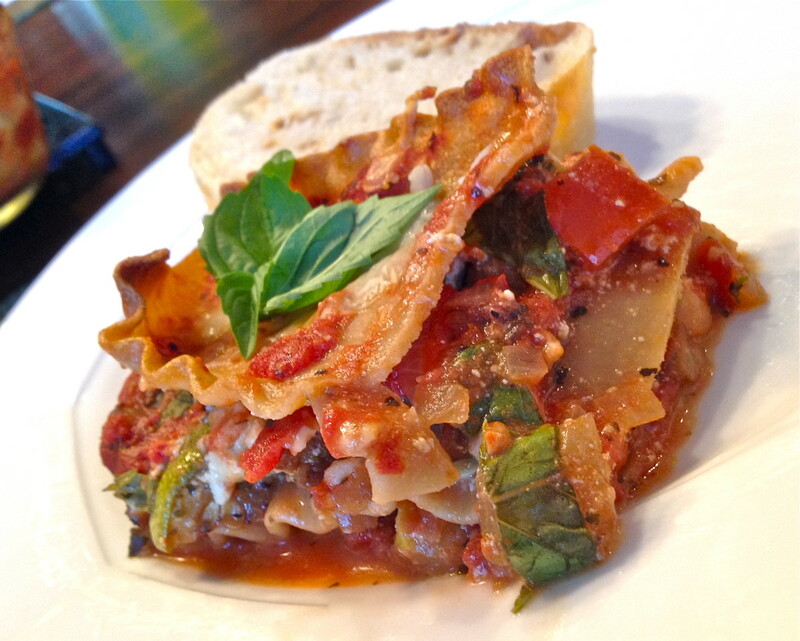 Lighten up your classic lasagna dinner with this delicious vegan and gluten-free recipe! 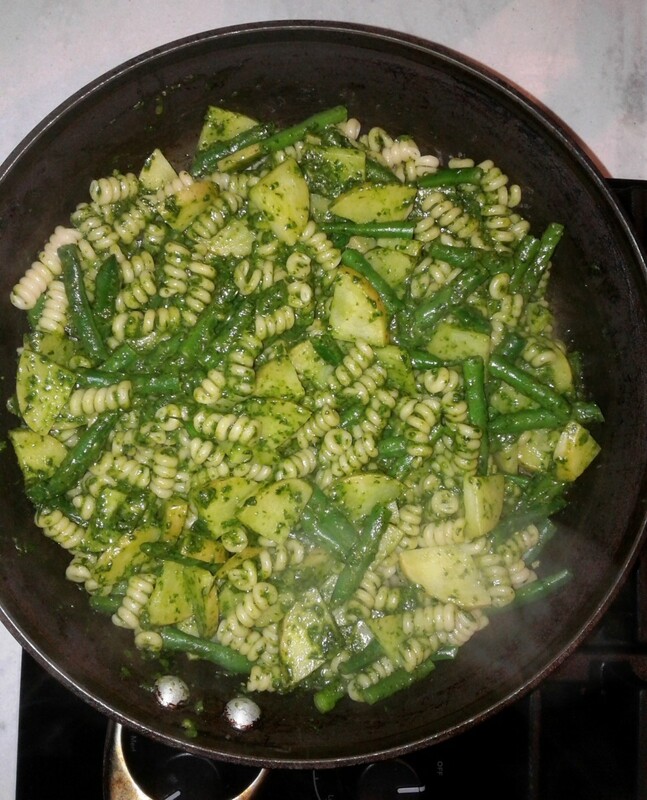 The roasted vegetables and fresh basil add a subtle sweetness to this dish that both your family and guests will love. Casseroles are an ideal way to stretch food budget dollars. 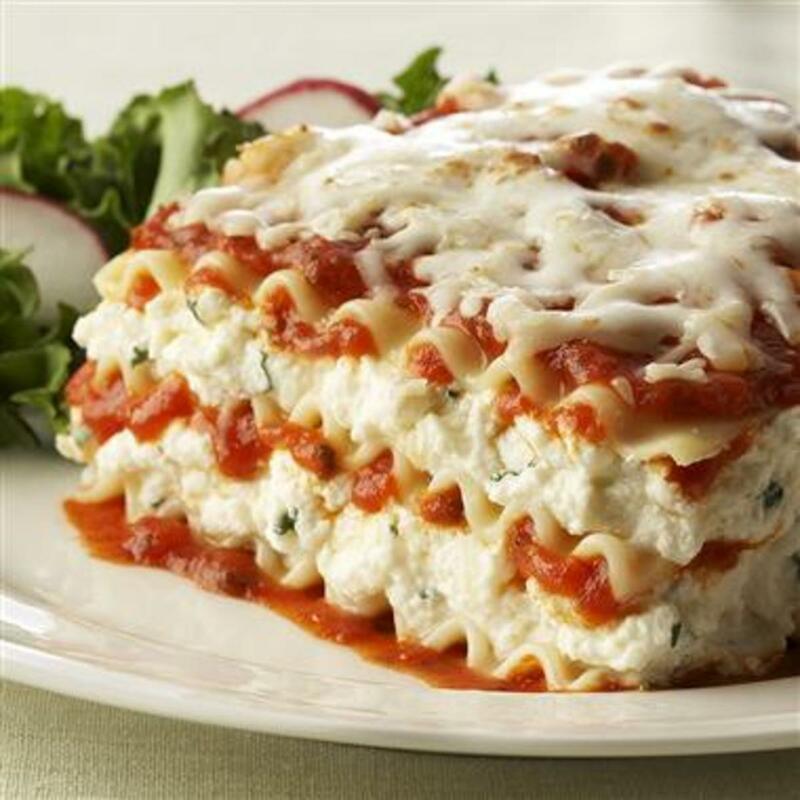 A package of lasagna noodles, Ricotta, Mozzarella cheese and marinara sauce makes into a filling dish for a hearty family meal. Here's how. Ever tried a stir-fry? 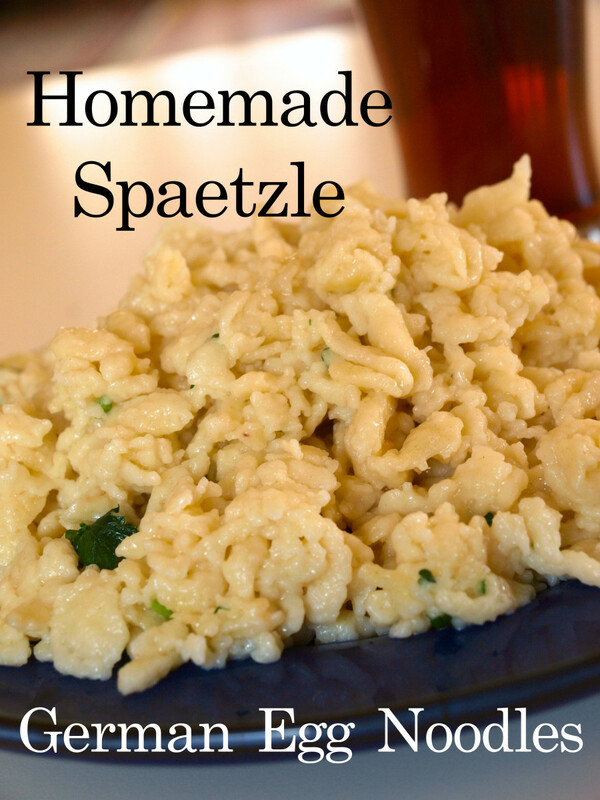 It's simple to make and super yummy! My vegetarian tomato sauce is perfect for your spaghetti if your New Years resolution for 2019 is to be more health-conscious. Everyone will think it has beef in it. 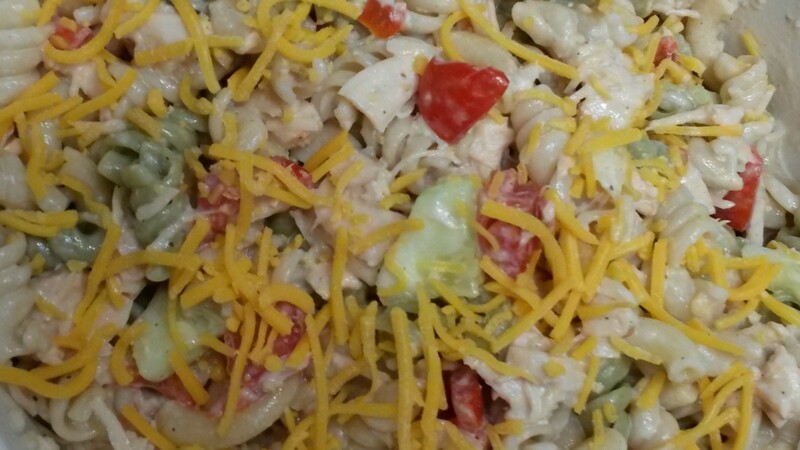 Recipe for Caesar chicken pasta salad using quick-and-easy box dinner. Make Italian, Greek, or vegetarian versions by using different cheese and meat. 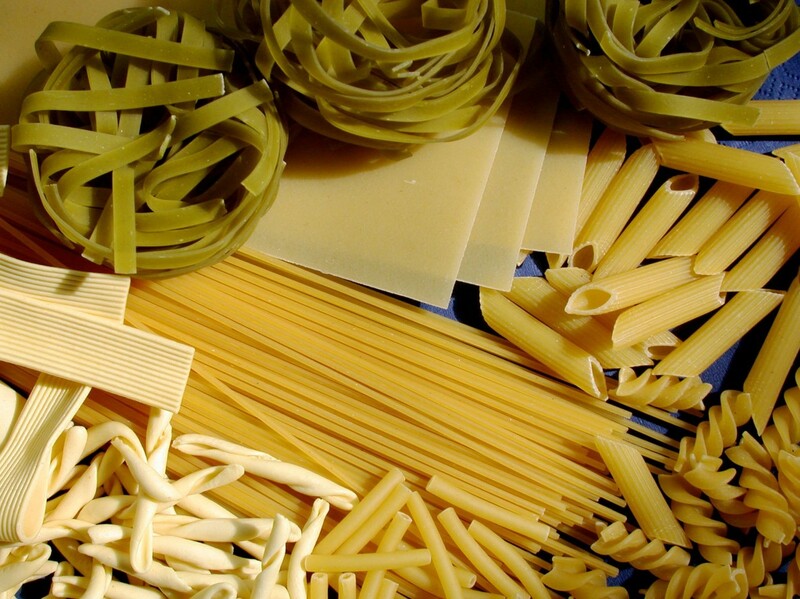 Pasta is associated by most people with Italy. 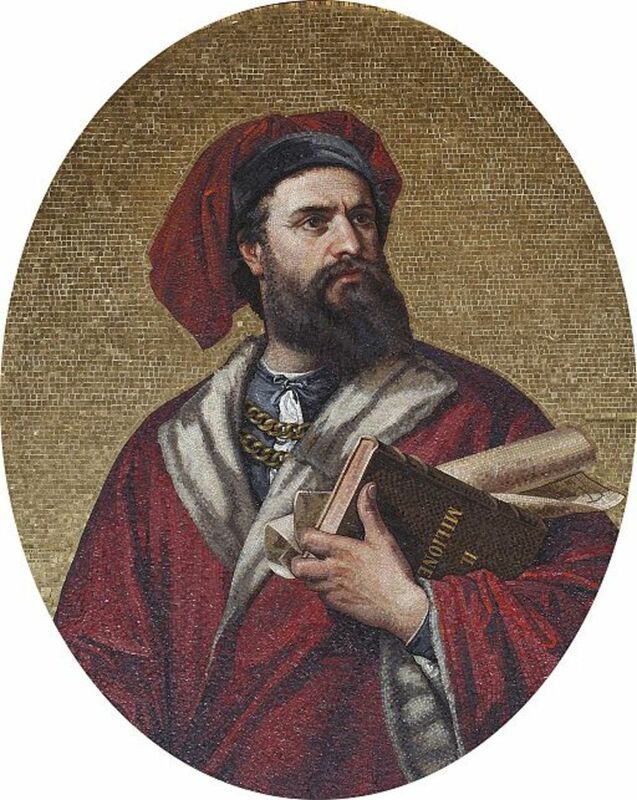 There is a theory that this was thanks to Marco Polo, introducing it on his return from China. Could this be true or is it a myth? What comes to your mind when you think about tropical cuisine? The first thing I think of is the delicious taste of coconut. 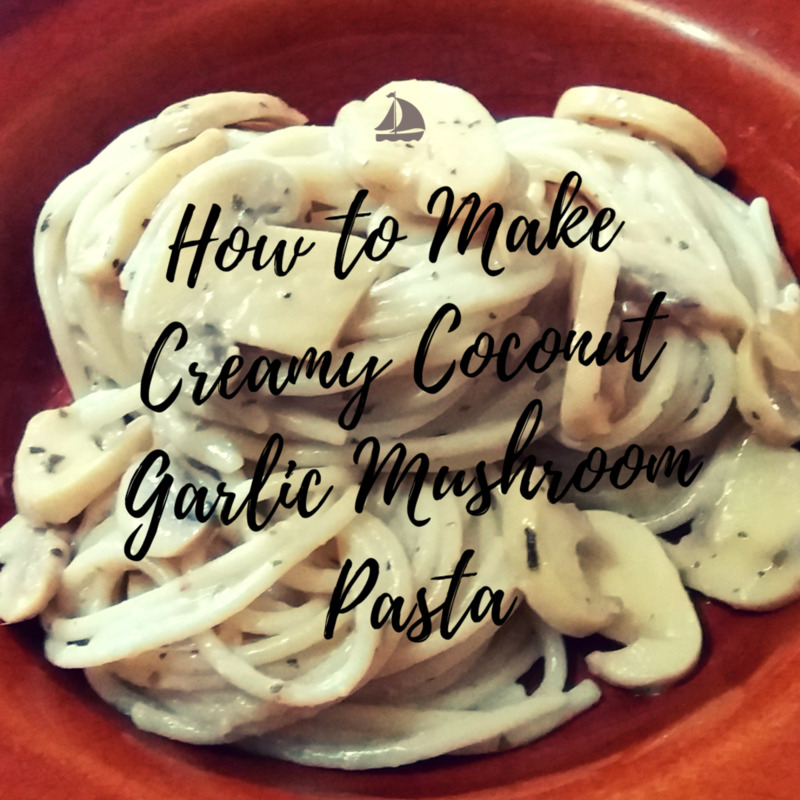 Try my simple recipe for a creamy coconut garlic mushroom pasta. What is in rice pilaf and how do you make it? Really, it's an easy recipe and you can choose from our ingredient suggestions or vary ours to suit your own taste buds. 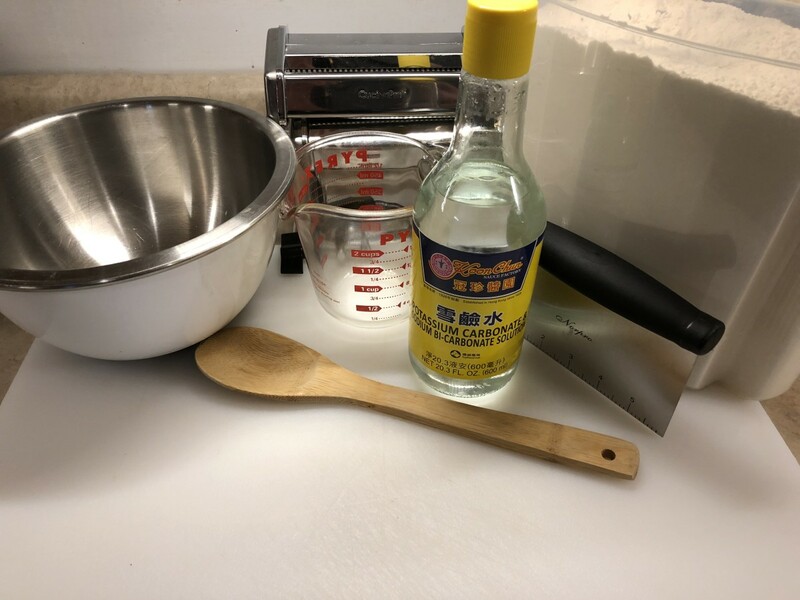 Read on for the simple recipe. 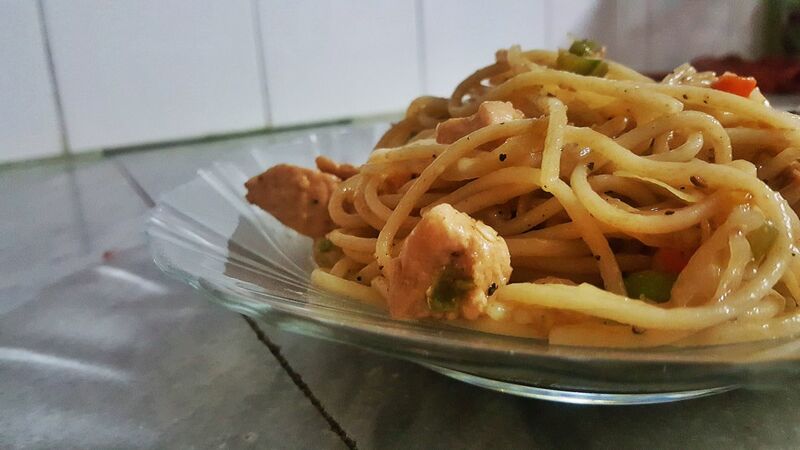 How to cook chicken chow mein the easy way (with photo tutorial). Add an exciting delicious twist to your fried rice using Chinese preserved duck eggs. 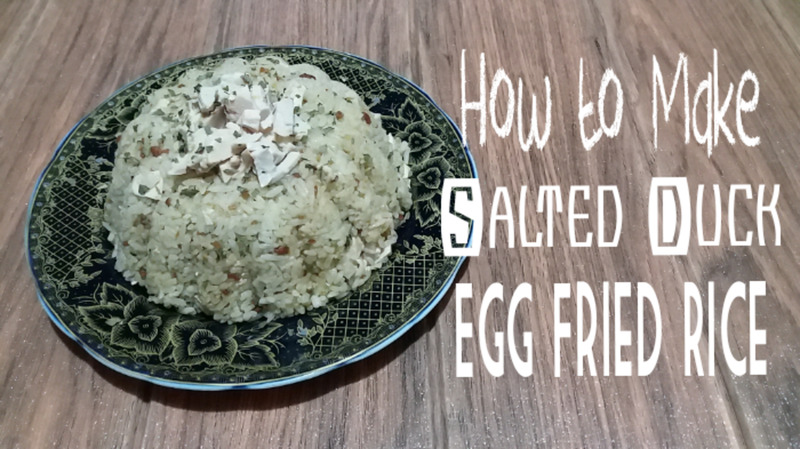 This fried rice can be eaten as is or with your favorite dish. Best served during the breakfast meal. Is quinoa possibly the most perfect food? 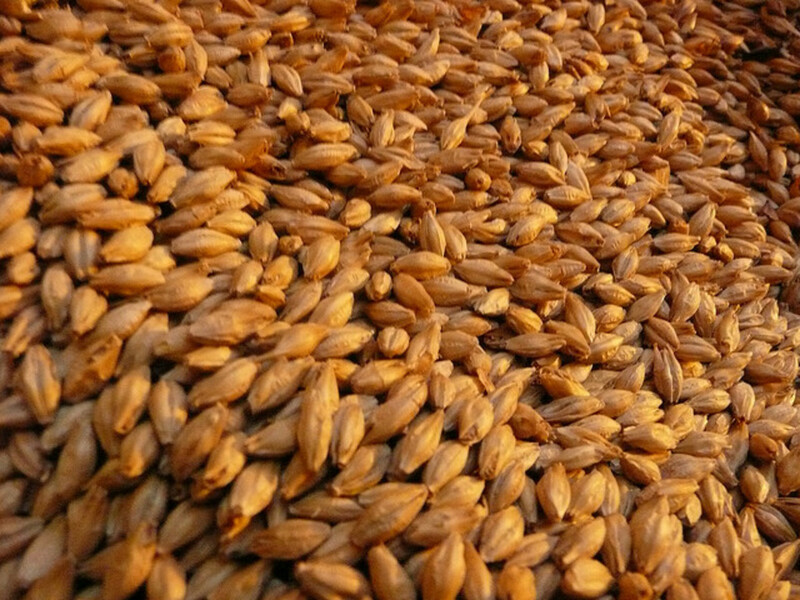 The grain that's a seed, the new fad that's an ancient food, and the substance that can be used in every meal. 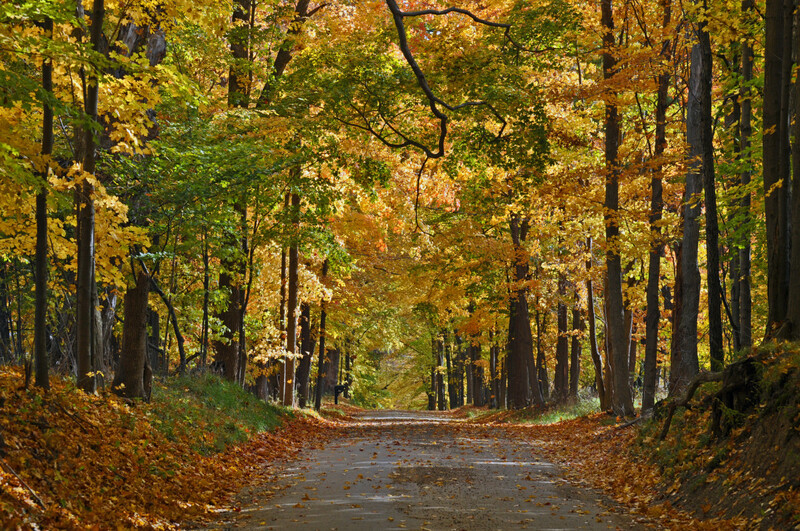 Fun facts, folklore, and recipes here. 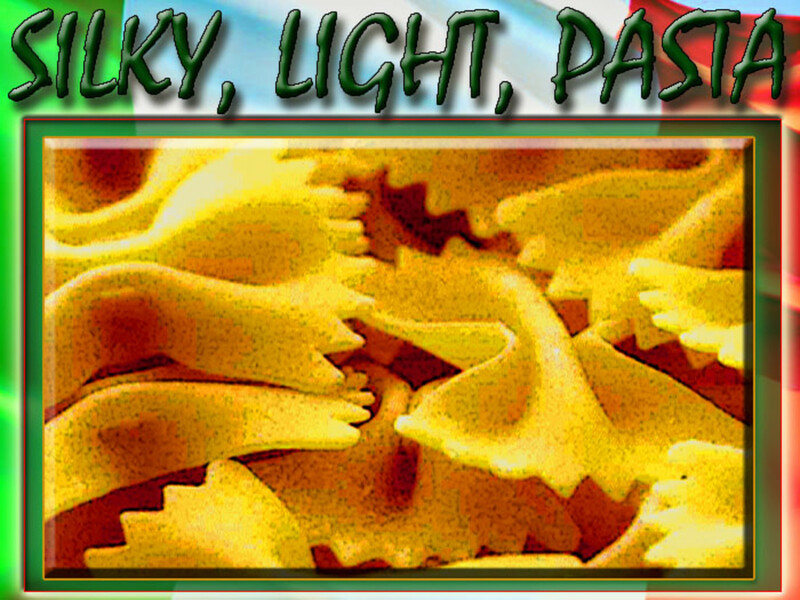 Making your own ravioli is easy using these simple instructions. 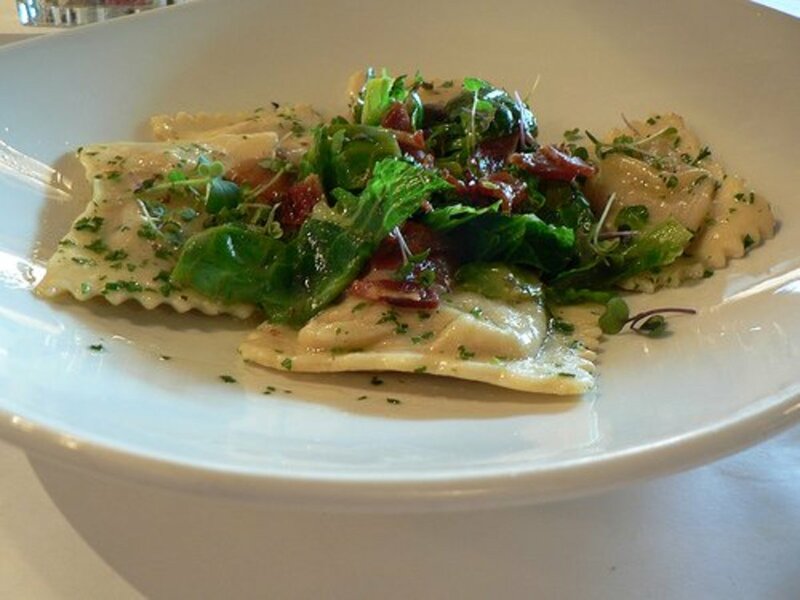 You won't have to go to Olive Garden to get your gear and gorgonzola ravioli fix anymore! This veggie fried rice is easy to throw together and has just a few ingredients. You can use it as a side dish or even a main dish. This recipe is egg free since we have allergies in our home, but you could easily adjust the recipe to include eggs. 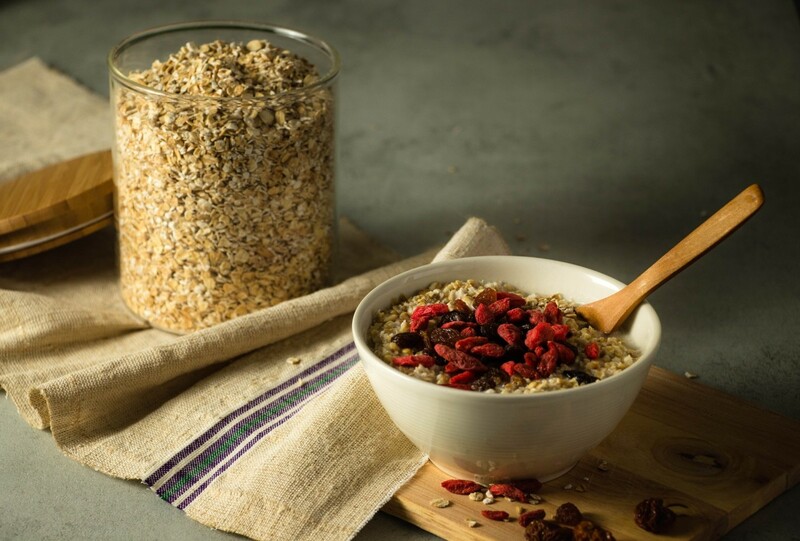 In this article you will learn the difference between steel cut oats VS rolled oats. 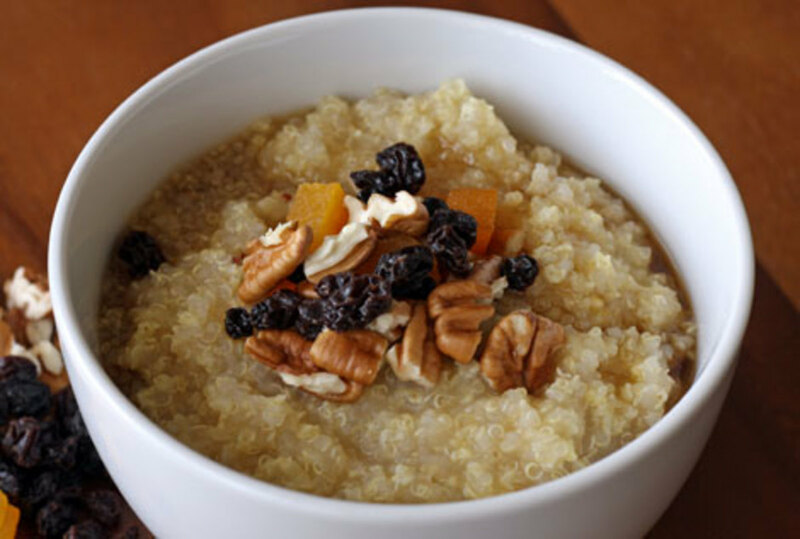 What is the steel cut oats nutrition? Which oatmeal taste better and is healthier? Memories of an incredible pasta and pesto dinner in Vernaza and how you can create this northern Italian specialty in your own kitchen. What's better than pasta? 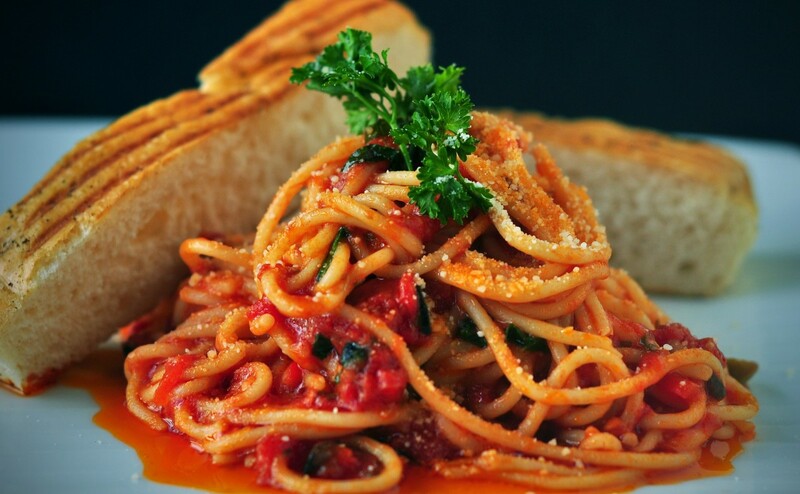 What about pasta filled with all of your favorite flavors? Taco, pizza, buffalo chicken? They're all here, plus more. 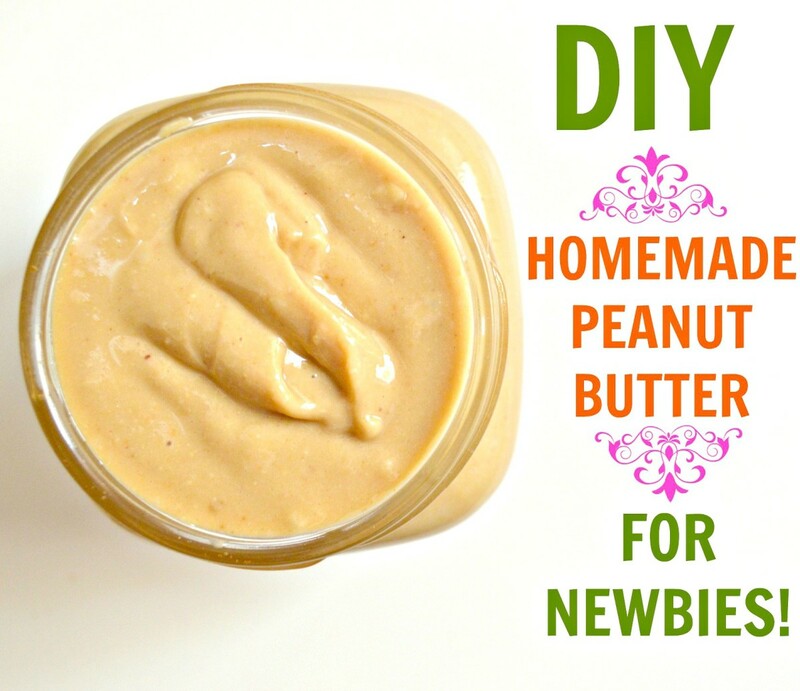 Did you know that it's SUPER easy to make peanut butter at home - even if you've never done it before! 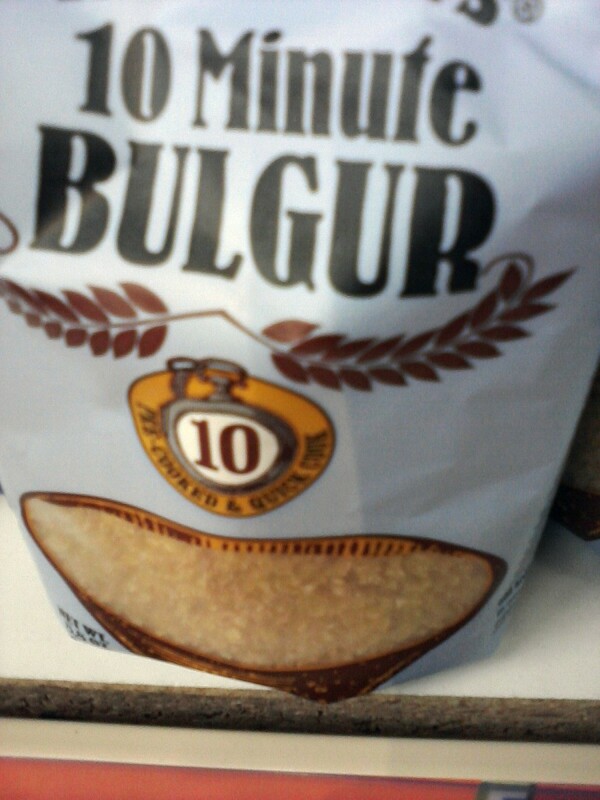 Sans the preservatives, white sugar and hydrogenated oils found in store bought peanut butter?! 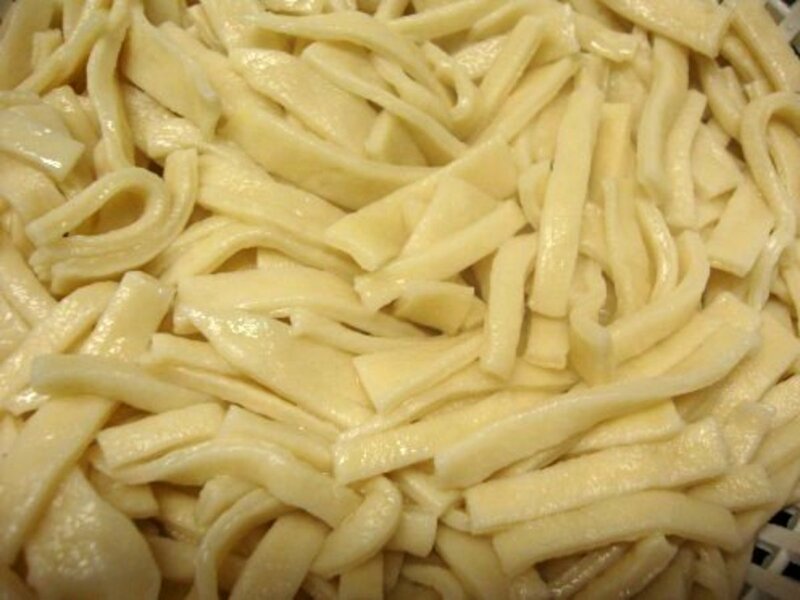 Why would anyone make pasta when you could buy it at the nearest store? 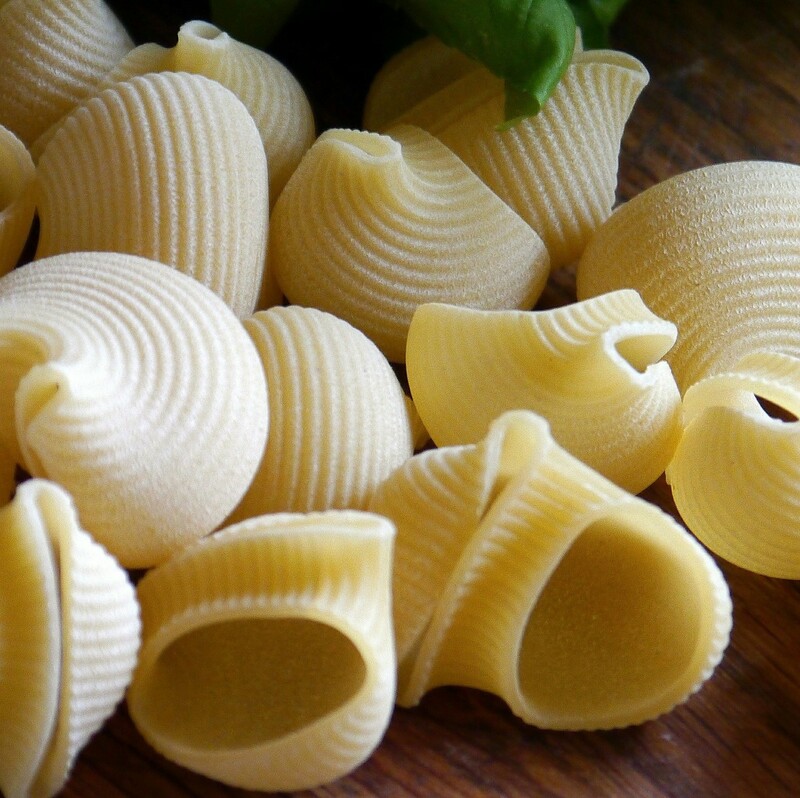 The answer is the velvety texture you can taste with homemade noodles. Experience a world of difference when you make your own! 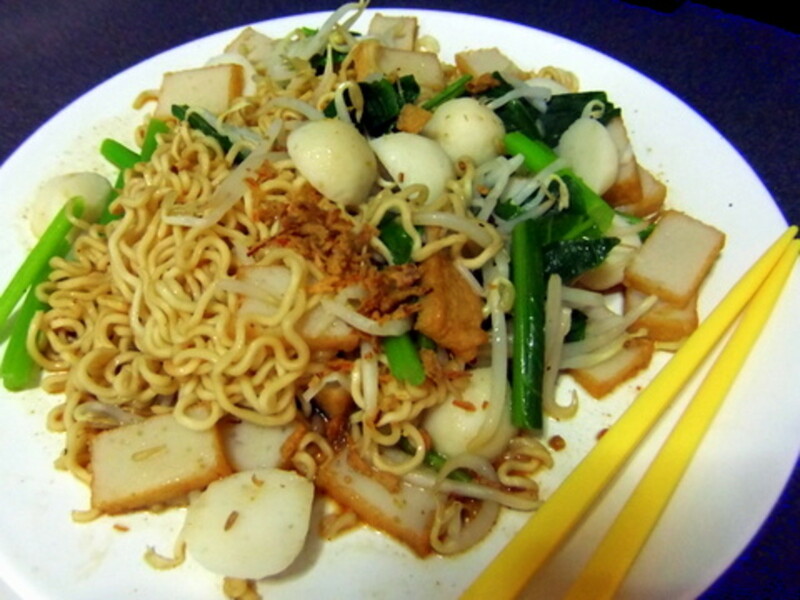 Make fried noodles or mee goreng with instant noodles, ideal if you are in a hurry. 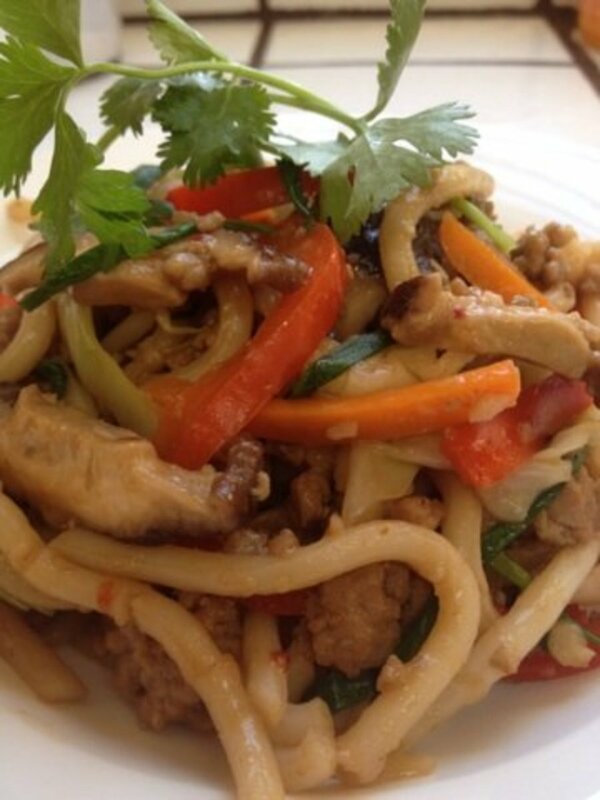 This delicious and healthy fried noodles recipe is fast and easy and I am sure you will like it. A thorough, user-friendly guide to making pasta at home, complete with ingredient recommendations and detailed instructions. 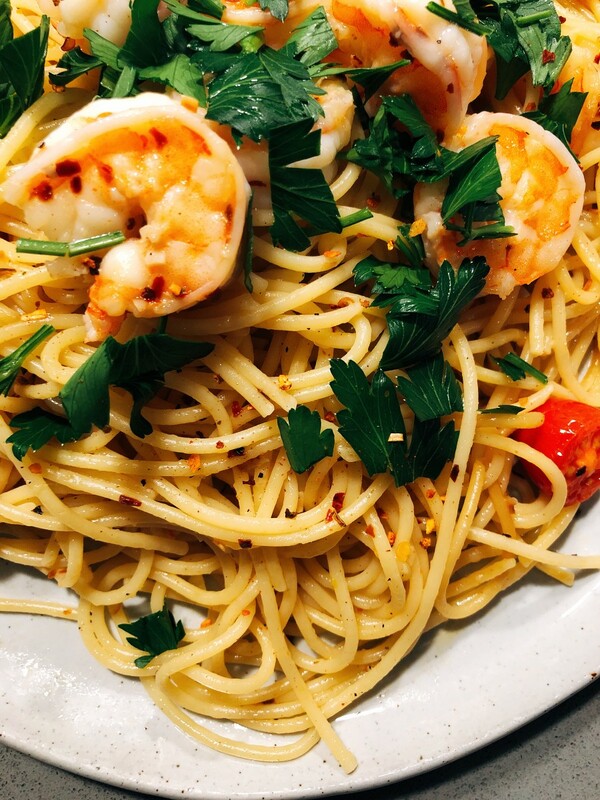 Spaghetti Aglio e Olio is a traditional Italian pasta dish. It's super easy to make, and it's perfect for your family dinner. 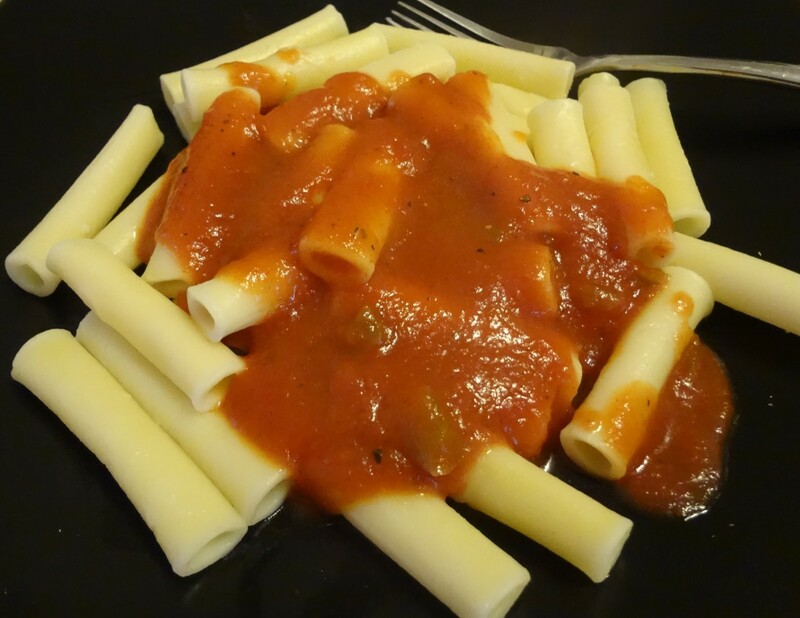 A delicious pasta recipe that's very easy to prepare. 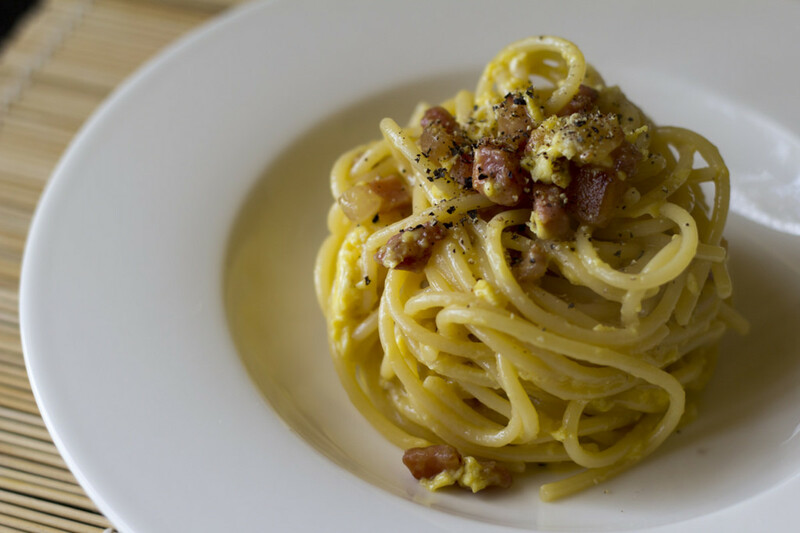 It uses eggs, bacon, and Parmesan cheese as the main ingredients. Yum! Good with spaghetti, linguine, penne, or your favorite noodles. 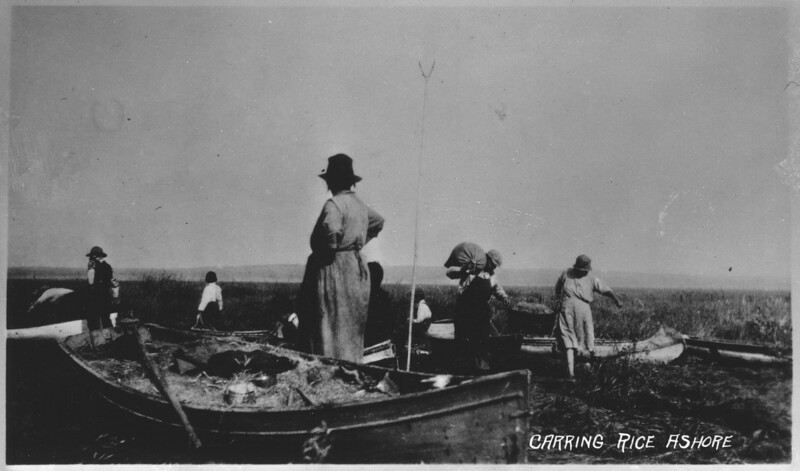 Hear the story of the Anishinabe people, and how they came to harvest wild rice from canoes with push poles and hand flails in what is today NE Minnesota. Forget the pasta machine—make ravioli from scratch using a rolling pin! Taste the infinite "pasta-bilities" as you dream up unique fillings and sauces. 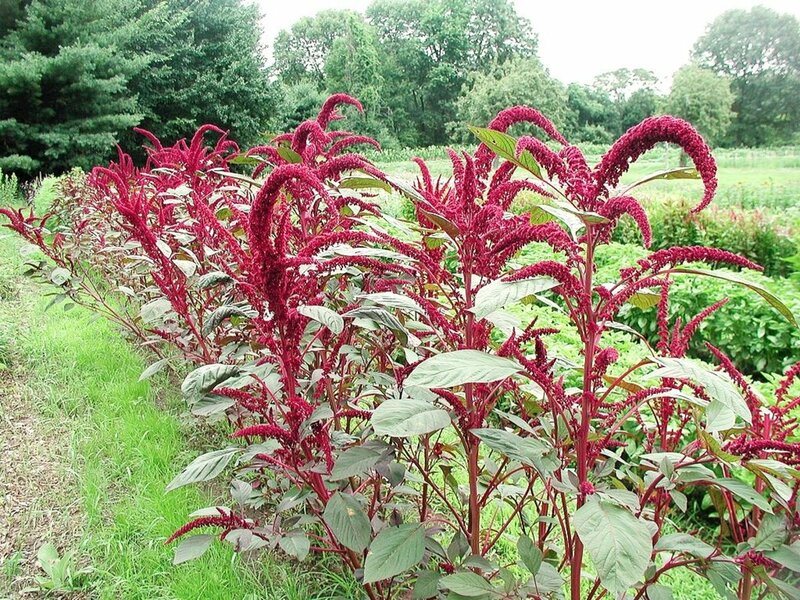 Amaranth is an edible plant that produces tasty and nutritious seeds. 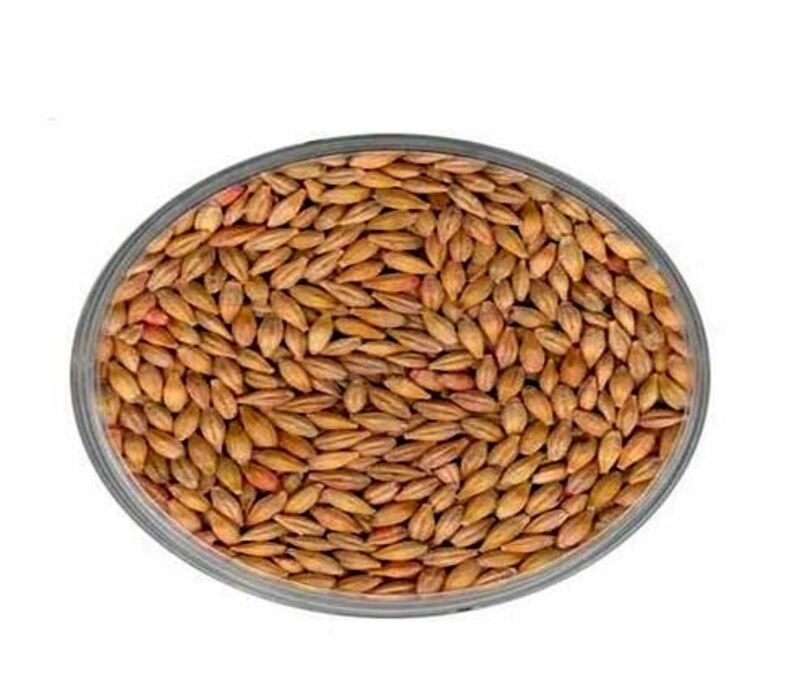 The seeds are gluten-free and are very useful as a grain substitute. They are suitable for people with and without celiac disease. What are the possibilities (or pastabilities) of pasta? So many pasta shapes, so many sauces. Which ones work best together? I’ll show you the best combinations and share six sauce recipes. 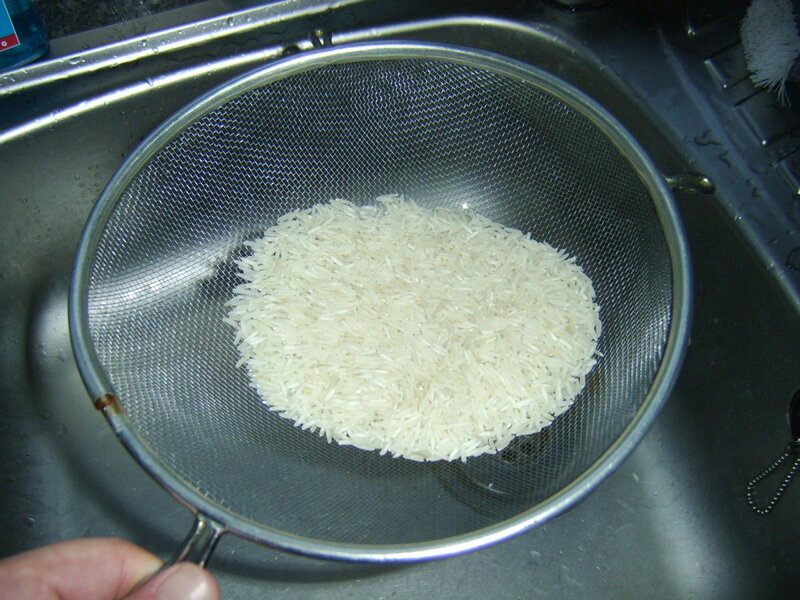 This page looks at tips for preparing basmati rice, and in particular, some of the inherent dangers in doing so. 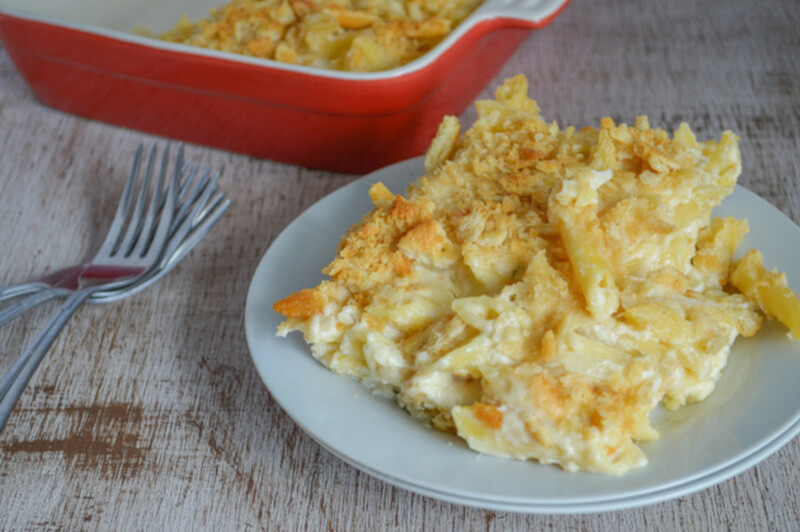 This is one of the easiest and tastiest mac & cheese recipes! 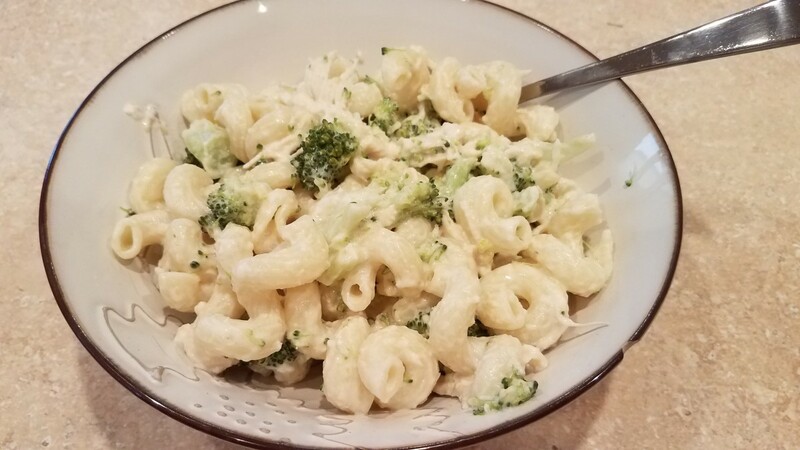 In less than 90 minutes, you can have creamy, dreamy mac & cheese that is healthier and tastes better than what comes in the blue box. Ramen is so much more than just the cheap packets of flavoring and noodles you get at the grocery store. Real ramen is full of flavor and surprisingly simple to make at home. 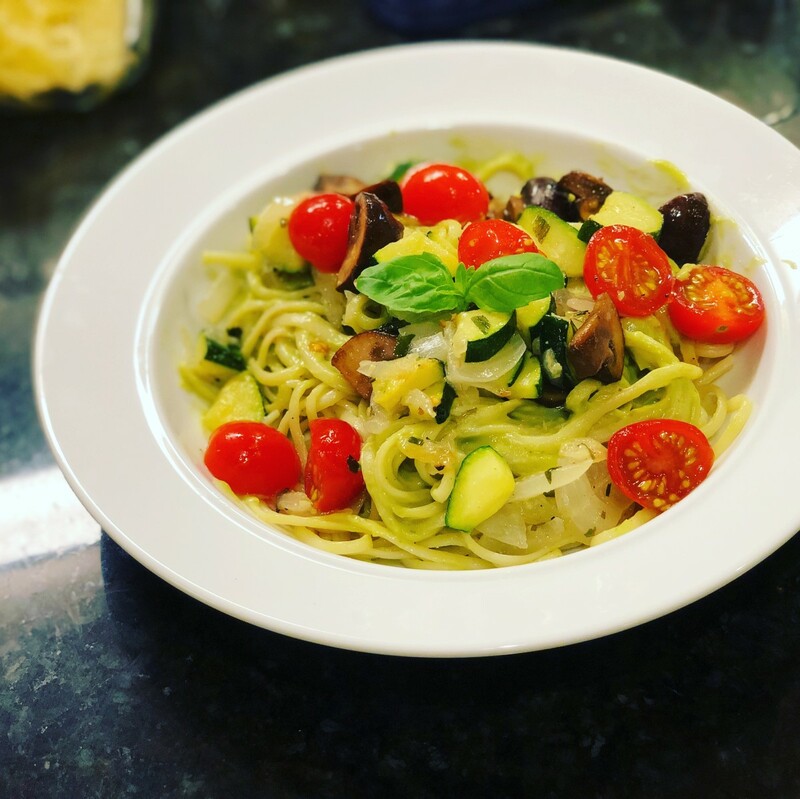 A delicious pasta recipe that is simple to make and boasts a heady mix of seasonings including shallots, garlic, olives and dried prunes. 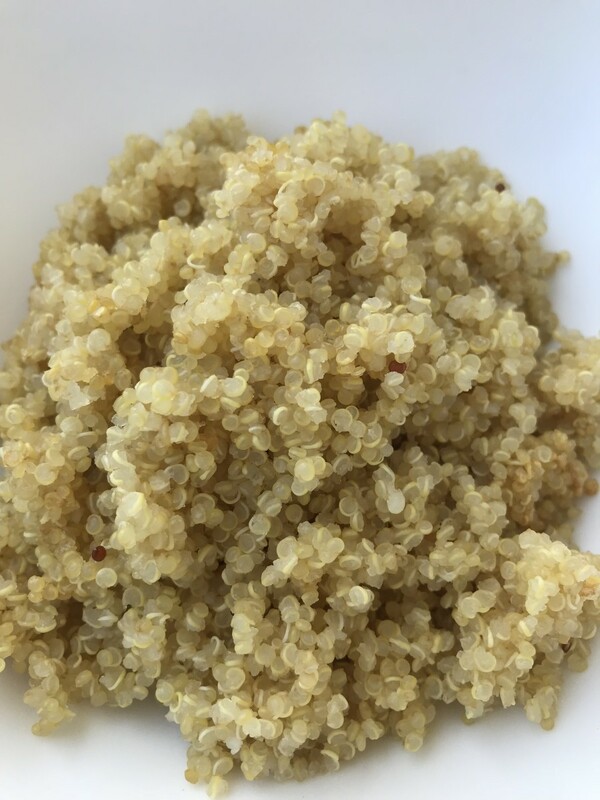 Loaded with protein, B vitamins, and iron, quinoa is a seed native to South America with a delicious nutty flavor. It's simple to cook if you use a couple of easy tricks, and the results are just plain terrific. In less than 20 minutes, you have this nutritional powerhouse on your table! 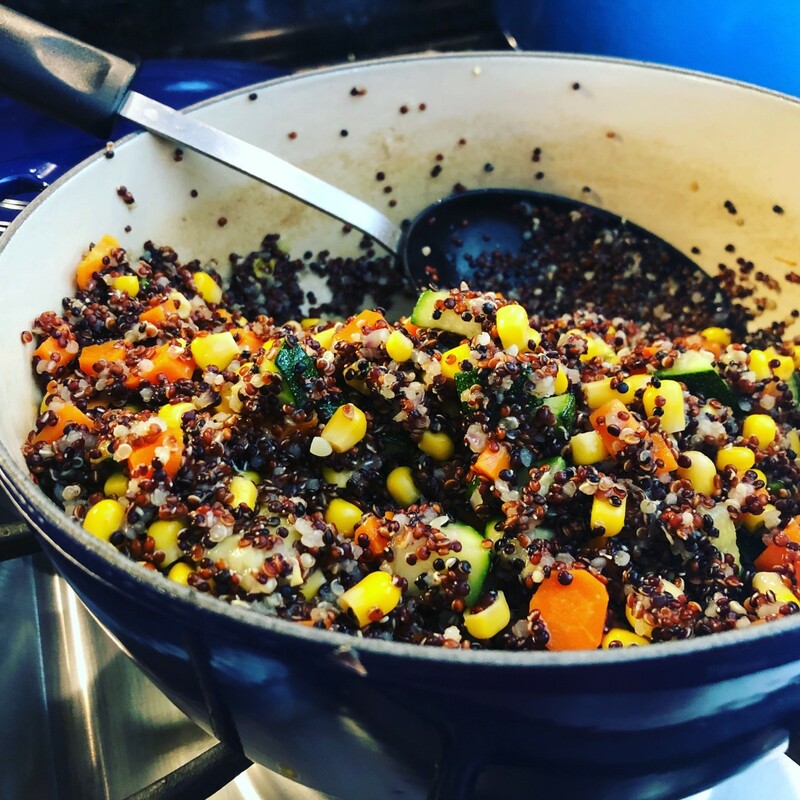 Simple, Easy, and Delicious Quinoa You'll Actually Love! 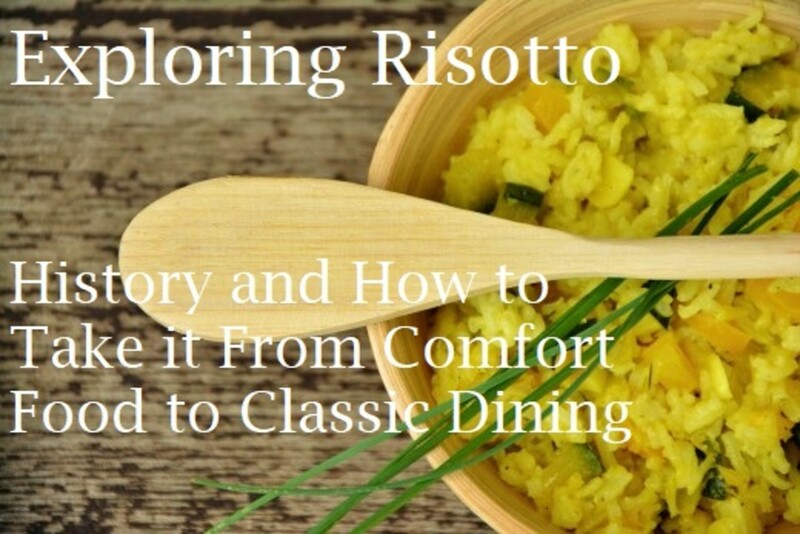 Risotto is a Northern Italian rice dish. It began as a peasant meal but with a few additions can be changed to a spectacular, luxurious dinner. 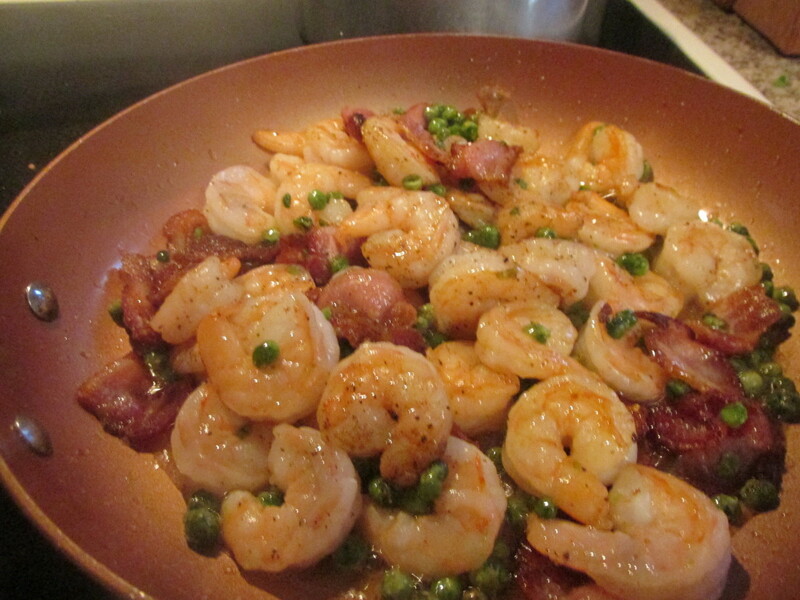 Let me share with you the origins of this wonderful, flavorful, adaptable dish. How often do you eat rice per day? 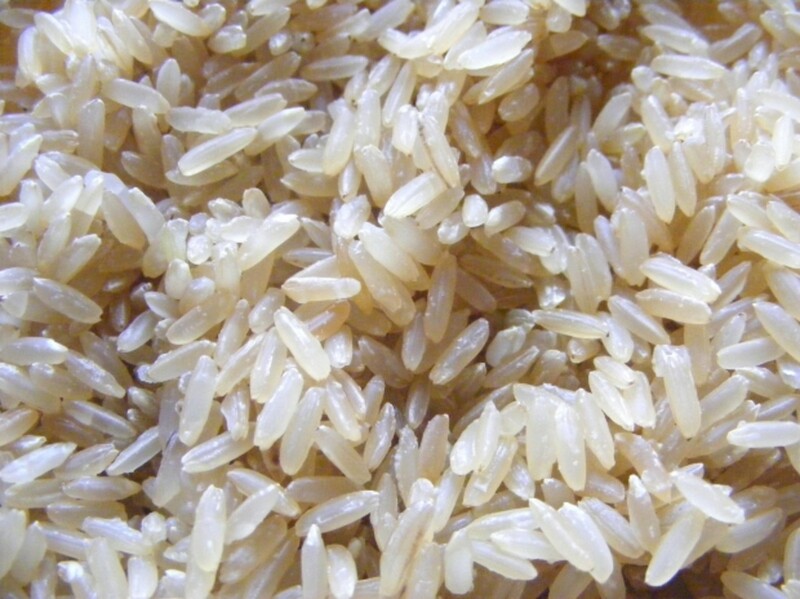 In many parts of the world, rice is considered to be a staple food, and depending upon the region, rice can be cooked in many different ways. 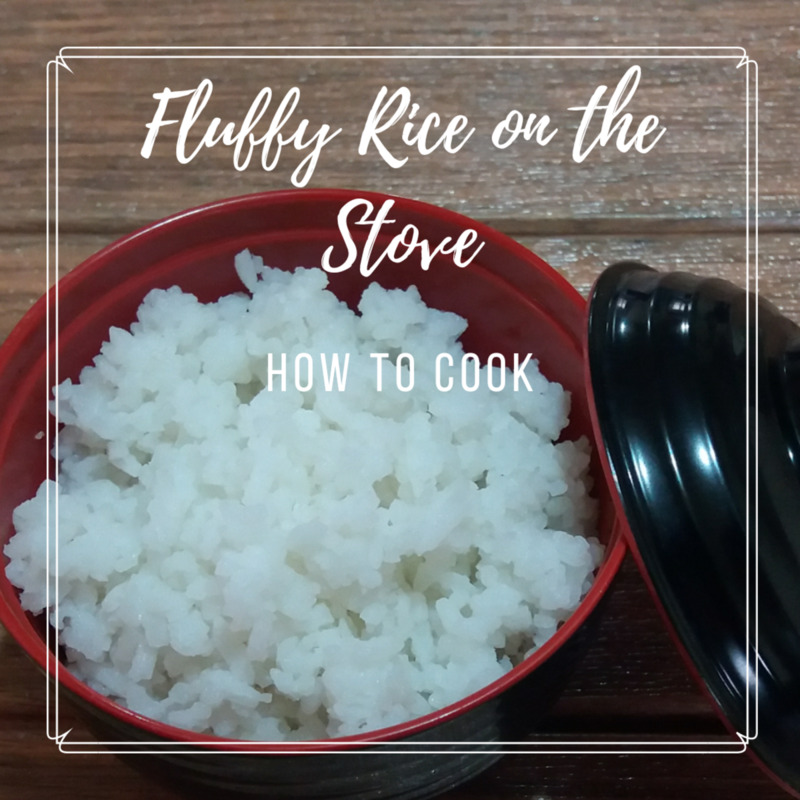 Learn the basics of how to cook fluffy rice. 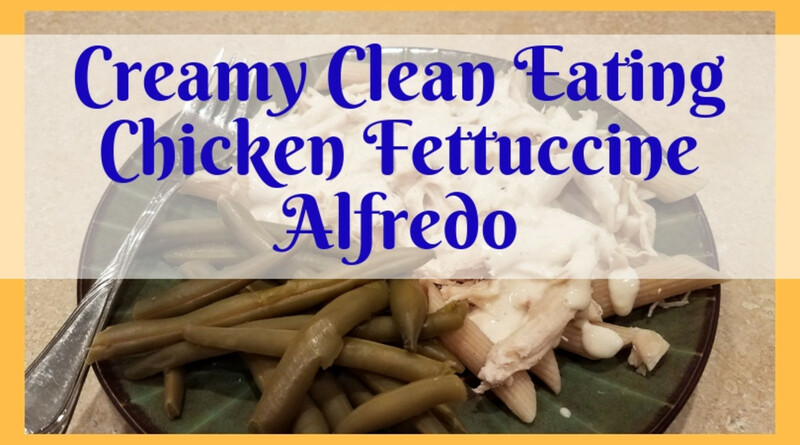 This creamy clean eating chicken fettuccine Alfredo is so delicious and addicting, I'm positive that you're going to find yourself making it again and again—which I highly recommend! With the addition of cream cheese and real grass-fed butter into the sauce, it's hard to make enough. This recipe started with an idea and has become one of my favorite recipes. 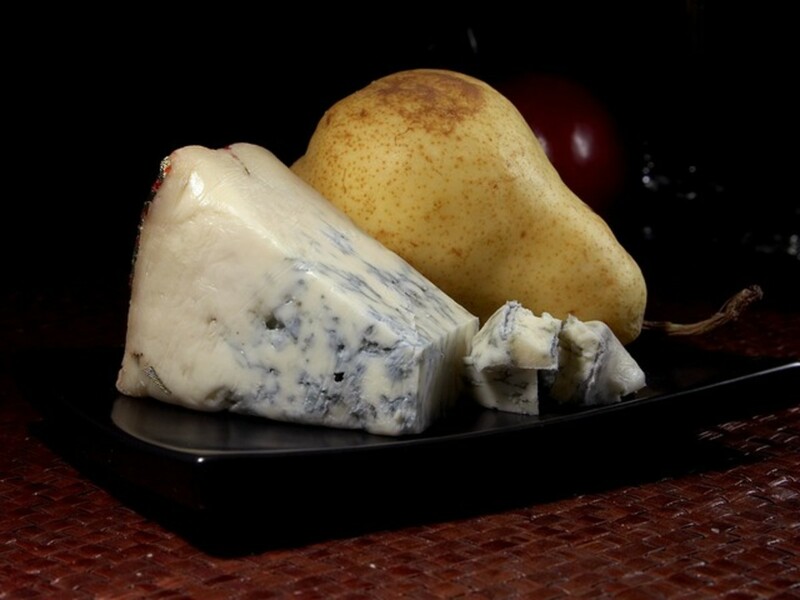 It's perfect for a snack, side dish, or even a main dish. The veggies can be switched up, but the dressing is just amazing no matter which veggies you choose. Sometimes the simple things are the tastiest! 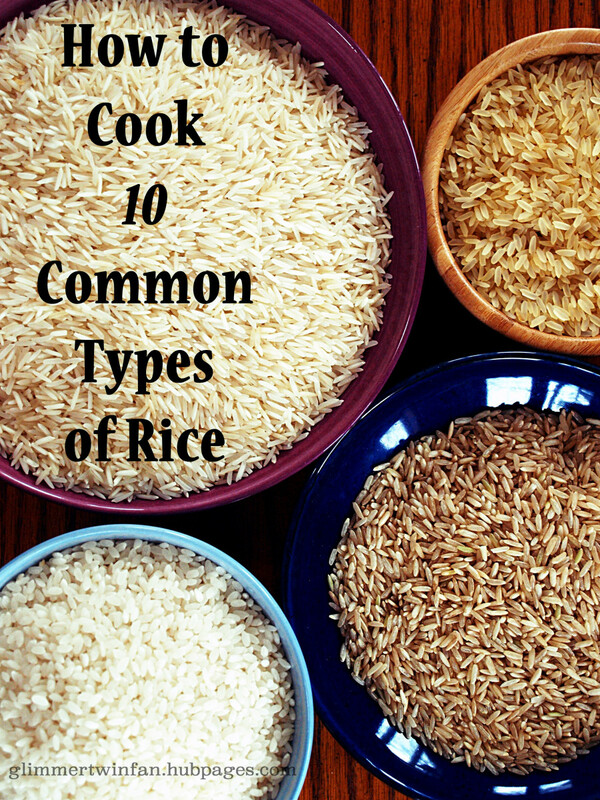 When you hear the word "rice" do you immediately think white, bland and boring? Think again—rice can be a flavorful gourmet delight. And more than half of us could not live without it. 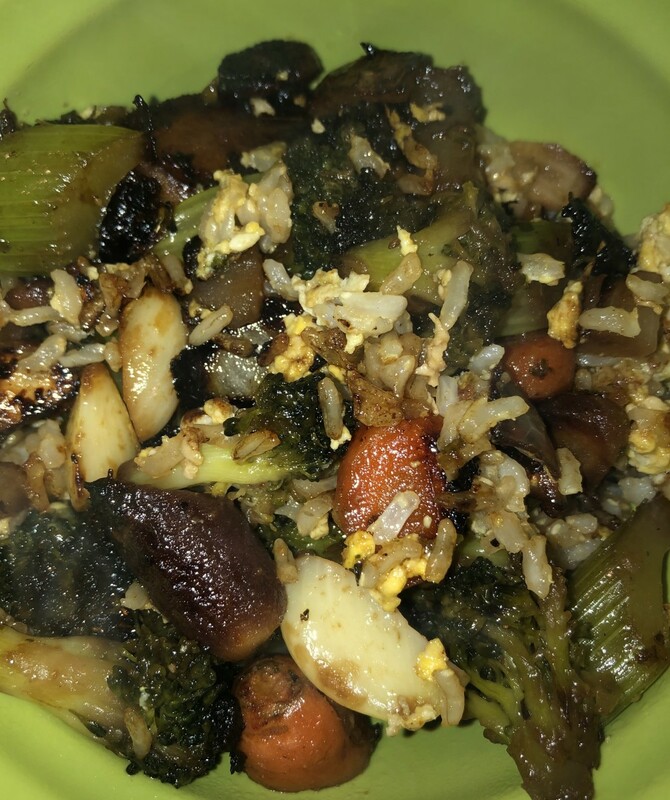 This delicious sweet and spicy glazed vegetable fried rice is a great budget-friendly vegetarian entree. 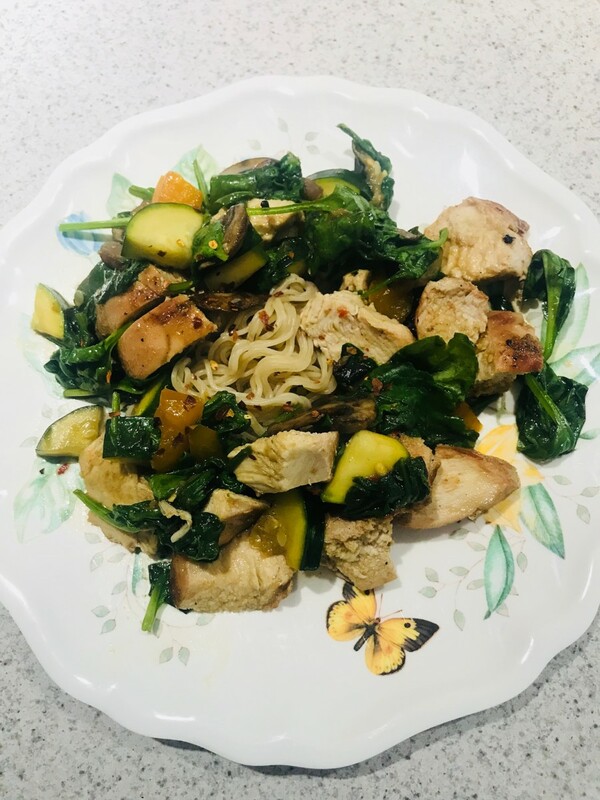 This quick and easy Asian-style stir-fry is gluten-free, dairy-free, and can easily be modified for a low-carb, AIP, vegetarian, or vegan diet. Plus it's delicious! 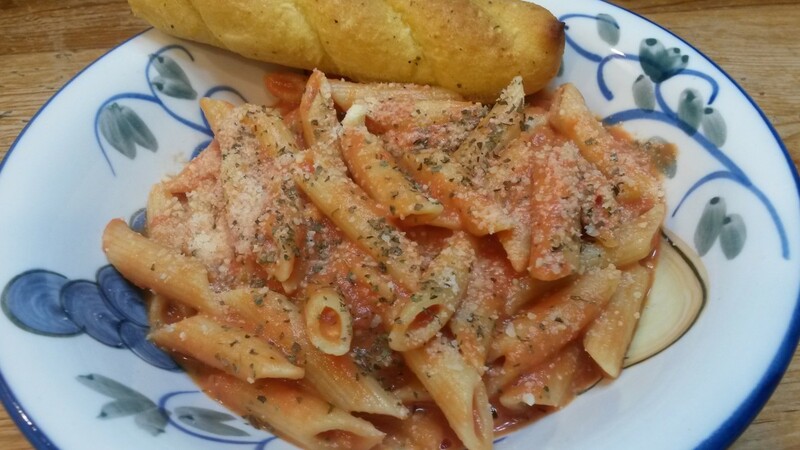 Vodka Penne Pasta is a favorite family recipe from my Italian grandmother. 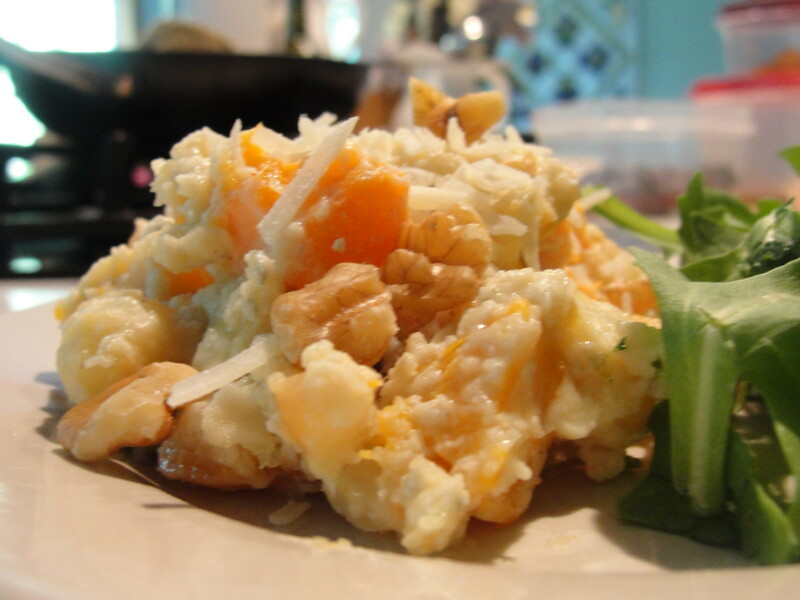 It can be a main or side dish, and it incorporates vodka as an unusual ingredient. 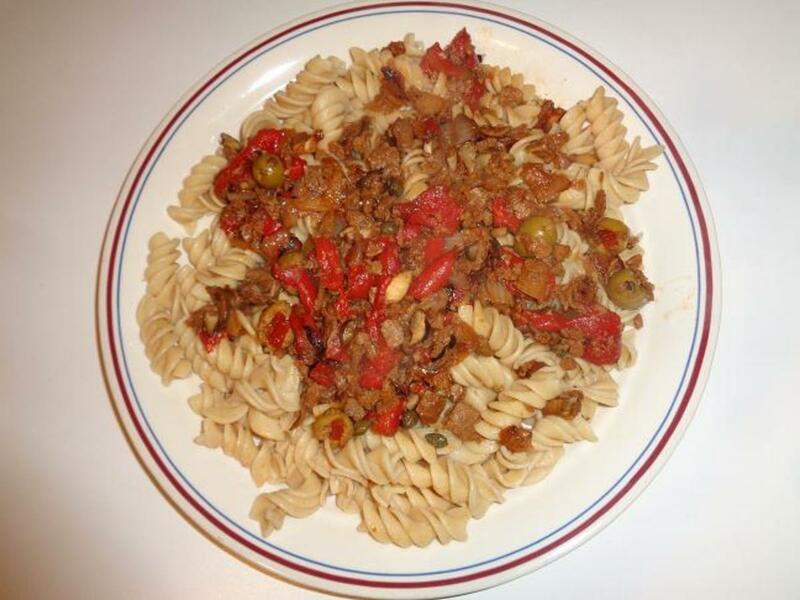 Serve as a meatless meal or with Italian sausage. 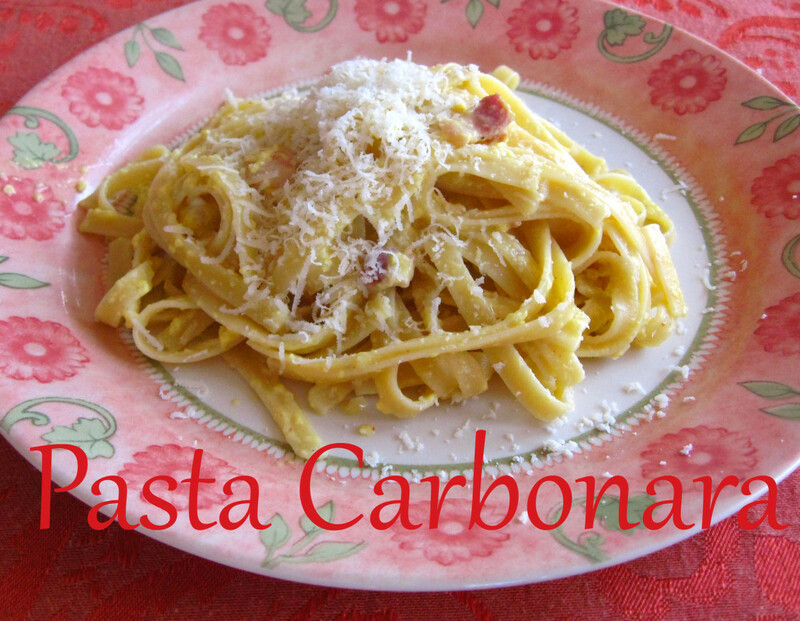 Carbonara--a perfect blend of pasta, pork, pecorino romano and a 'not-so-secret' ingredient to make the most creamy, comforting Italian dish you'll ever eat. You can make it. I'll tell you how. 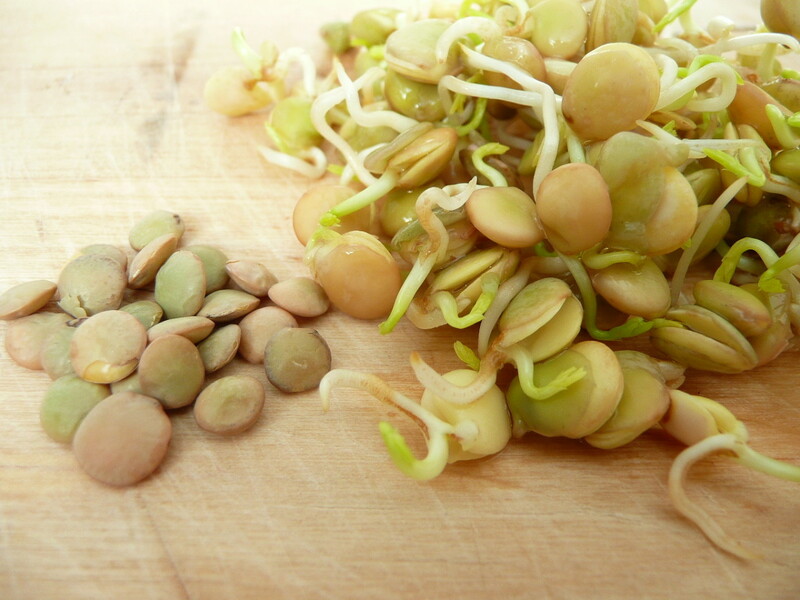 Sprouted lentils are delicious and it is easy to make your own at home. This article tells you all you need to know. The Seminole Nation is traditionally from Florida and enjoyed many of the foods found naturally in the area. One unique aspect of the Seminole community is that it was made up of different nations, especially Creek Nation, that welcomed Africans and the descendants of original Southern slaves into their group as well. This made for interesting fusion cuisine. 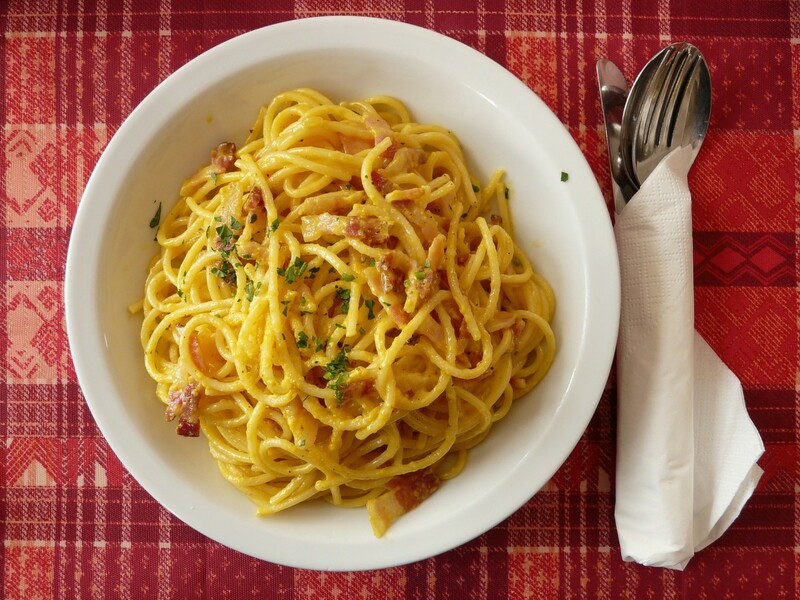 Carbonara in Italy is still prepared according to the traditional recipe, but elsewhere in the Western world it is almost always overcomplicated. 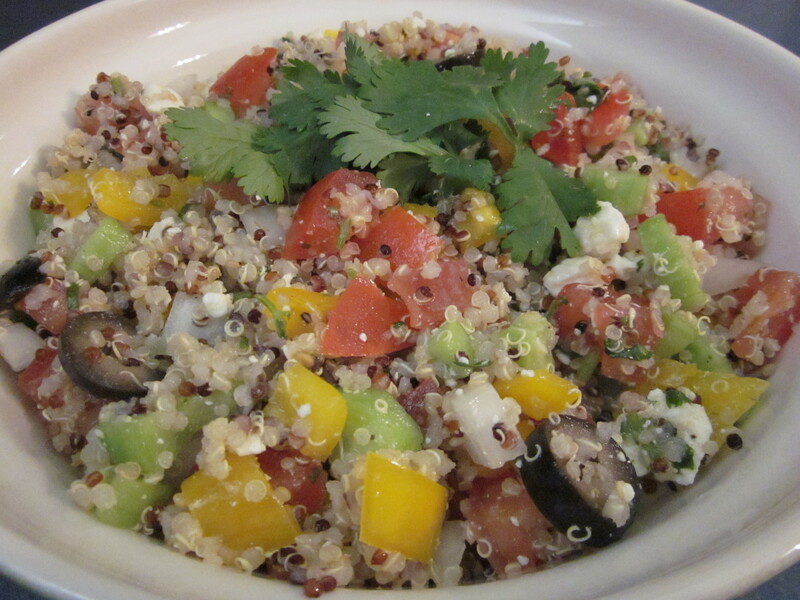 This quinoa recipe is simple to throw together, and the colors make for a nice presentation. Add some fried eggs on top, and you've got a hearty breakfast. Make it ahead of time, and you have a hot or cold side dish for any meal you're hosting. This dish is both versatile and tasty. 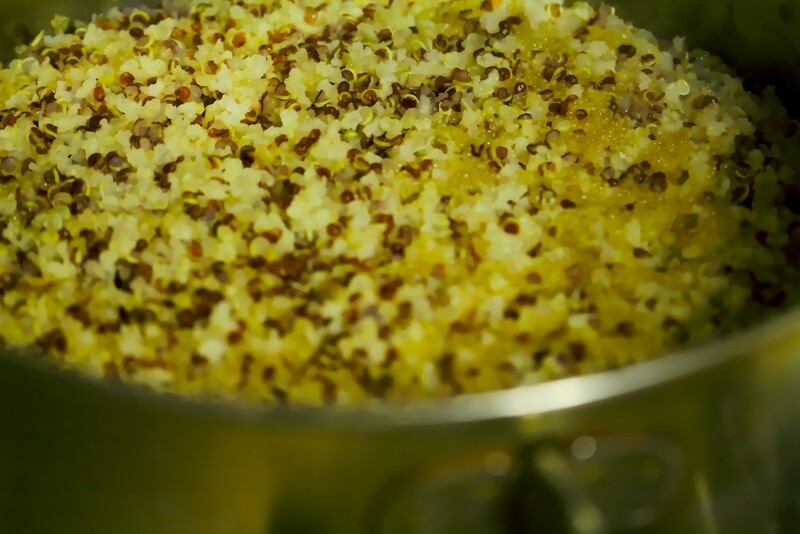 What is taboule? 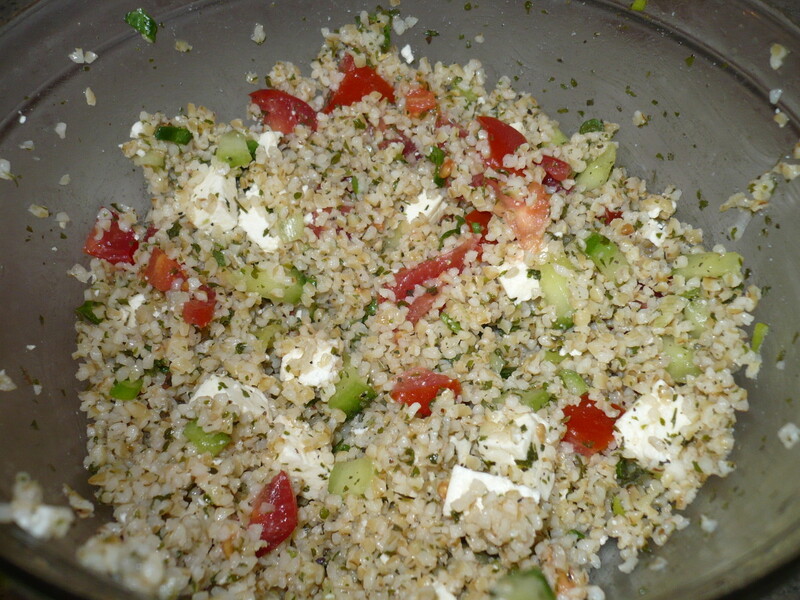 It is also spelled "tabbouleh" and is a Middle Eastern, whole-wheat salad made with uncooked bulgur wheat. It pairs well with cucumbers, tomatoes, and spices on top of romaine. 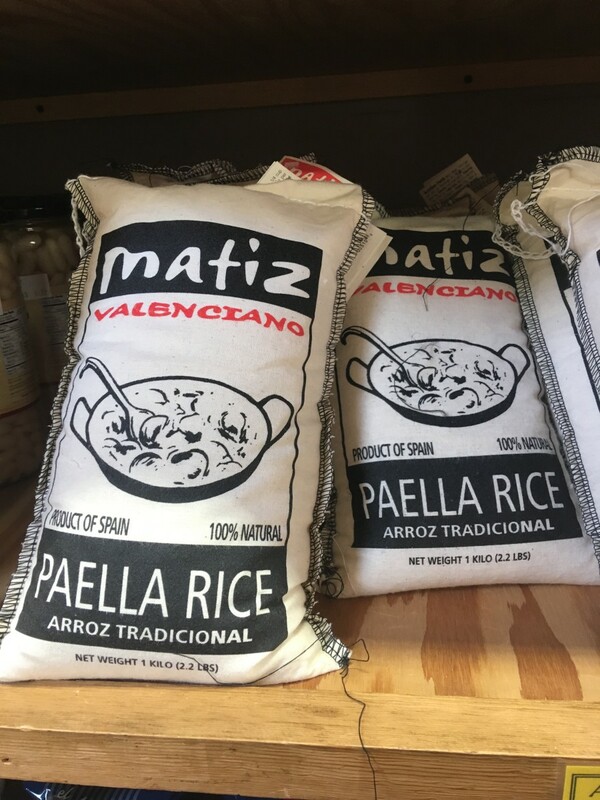 What's the best rice for paella, and how is it different from other kinds of rice? Find out where to get it and some handy substitutes. 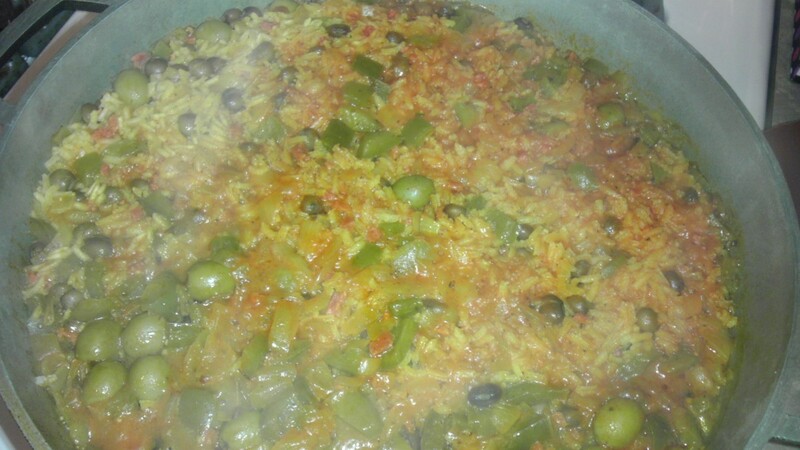 What's so Special About Spanish Paella Rice? 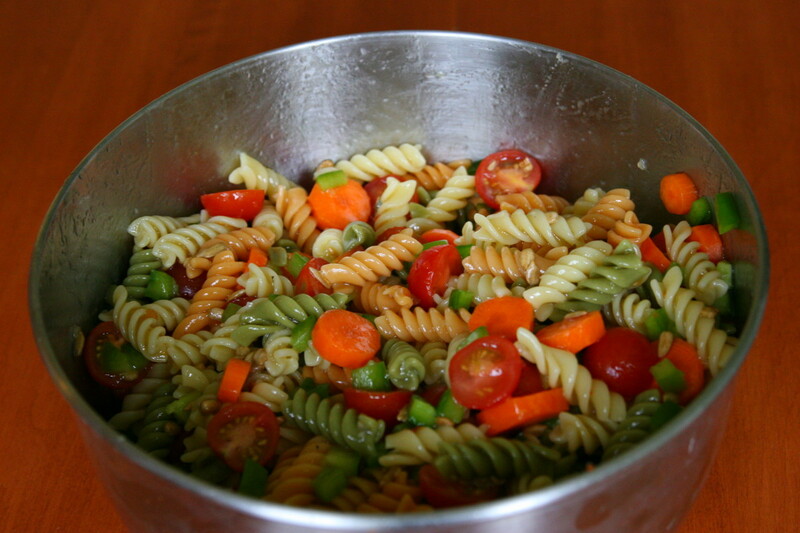 Quick and easy recipe for a delicious pasta salad. This dish is packed full of flavor, color, and texture. Perfect for spring and summer meals. 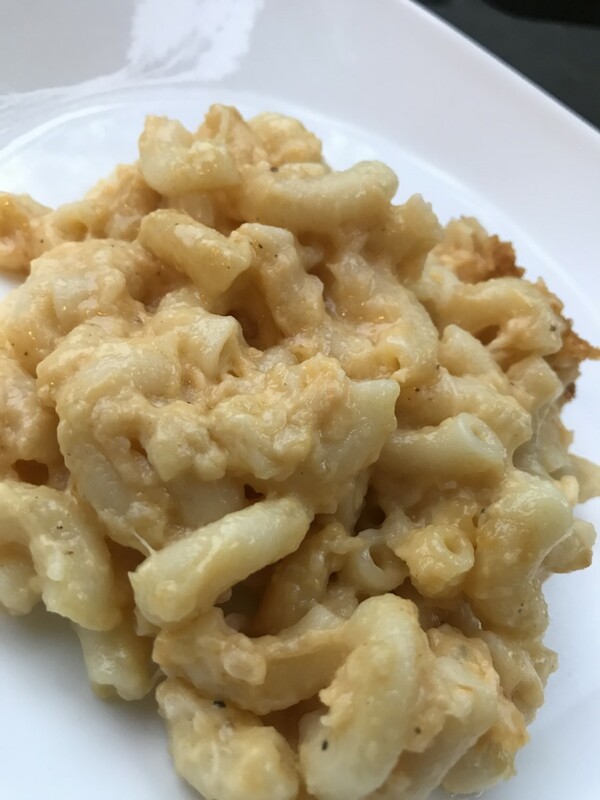 Mac and Cheese is the epitome of comfort food, but when you can have real mac and cheese in less than 5 minutes takes it to a whole new level. 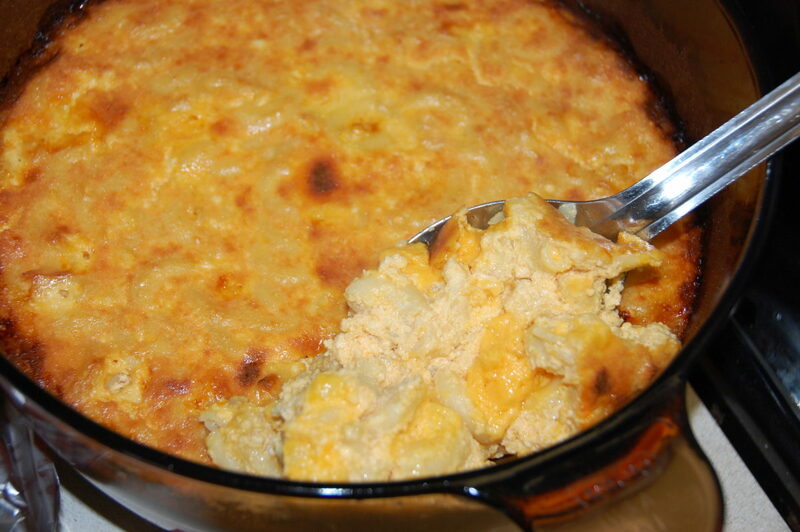 Southern-style baked macaroni and cheese, and the best thing to do with leftovers- Dunbar macaroni. 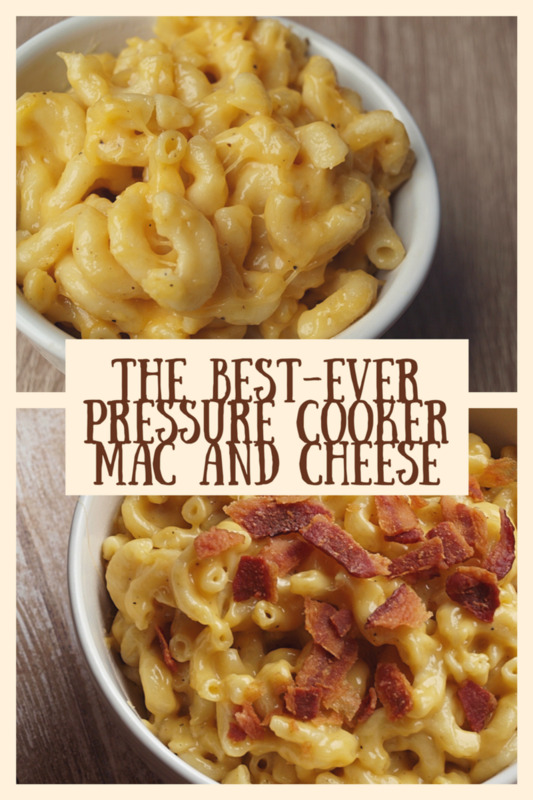 There are lots of recipes for pressure cookers, but this one is my favorite. 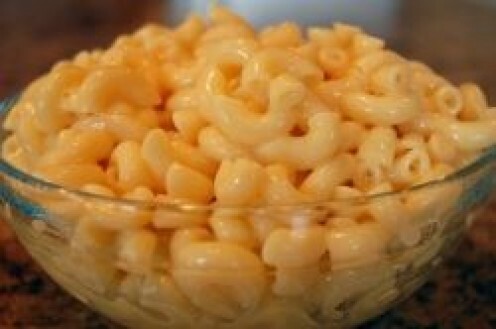 In less than 15 minutes, you will have a creamy, delicious, perfectly cooked macaroni and cheese dinner. Time to take your mac and cheese to the next level? Yeah, you are! Here are 45+ toppings that'll make you go "WOW." 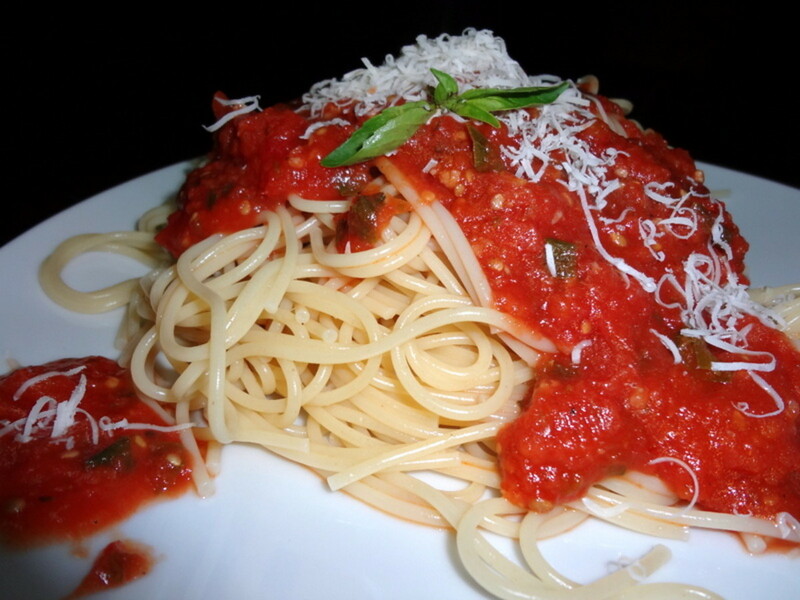 Learn the secret of sweeter italian spaghetti sauce without added sugar. Once you've tasted this homemade sauce full of garden-fresh ingredients, you'll never buy store brands! Mugi gohan is barley and rice. This simple duo is an ancient secret in Japan for its taste and health benefits. Is it a myth or does it deliver? Read and find out! 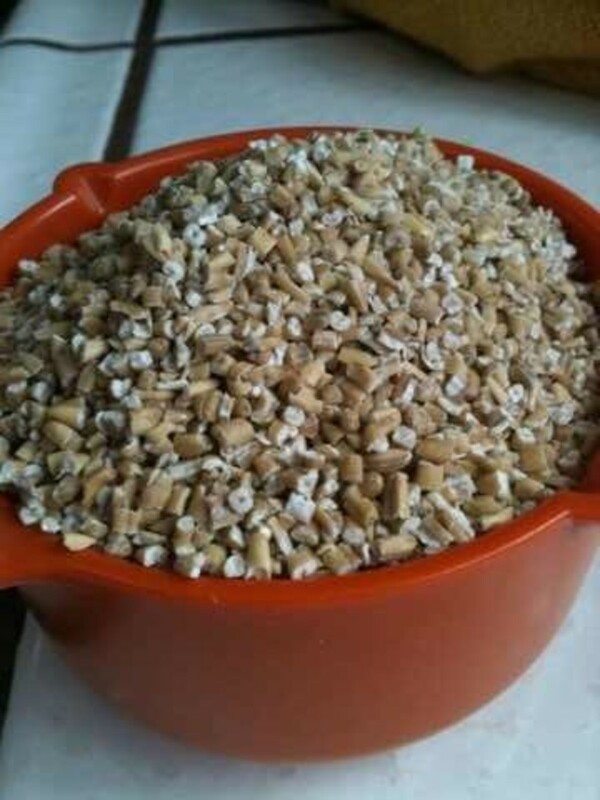 Tasty, Easy, and Healthy: What Is Mugi Gohan? Tagliatelle pasta comes in thick ribbons making it ideal for serving with rich sauces. The recipes featured here, however, show a number of different and non-traditional ways to enjoy tagliatelle. What do you do with ricotta cheese that you have unused after making a dish like lasagna? 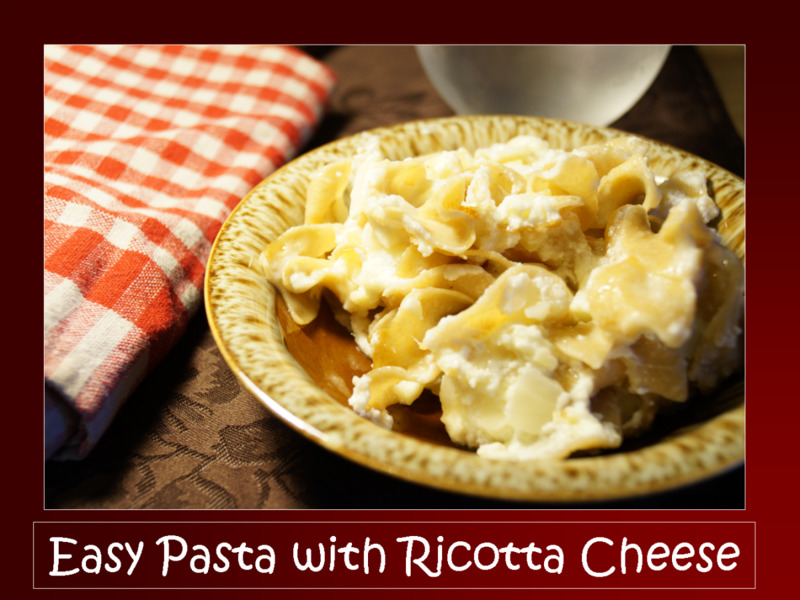 You make easy, cheesy pasta of course! 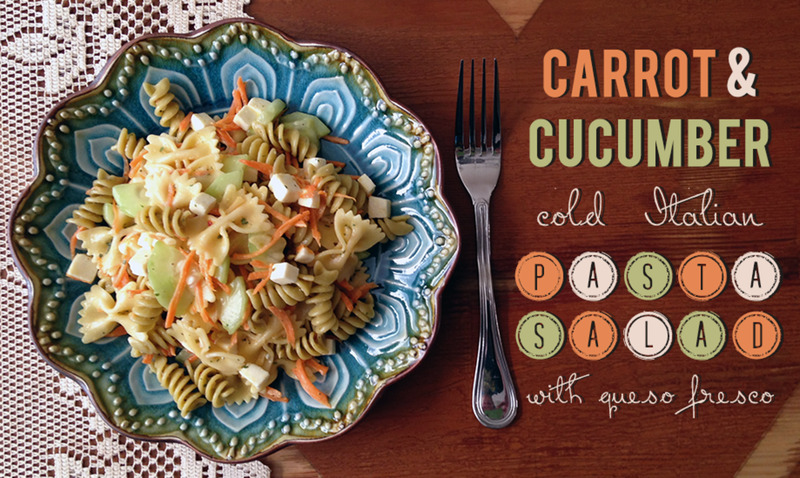 Find out how to make a delicious, warm dish that rivals macaroni and cheese any day! 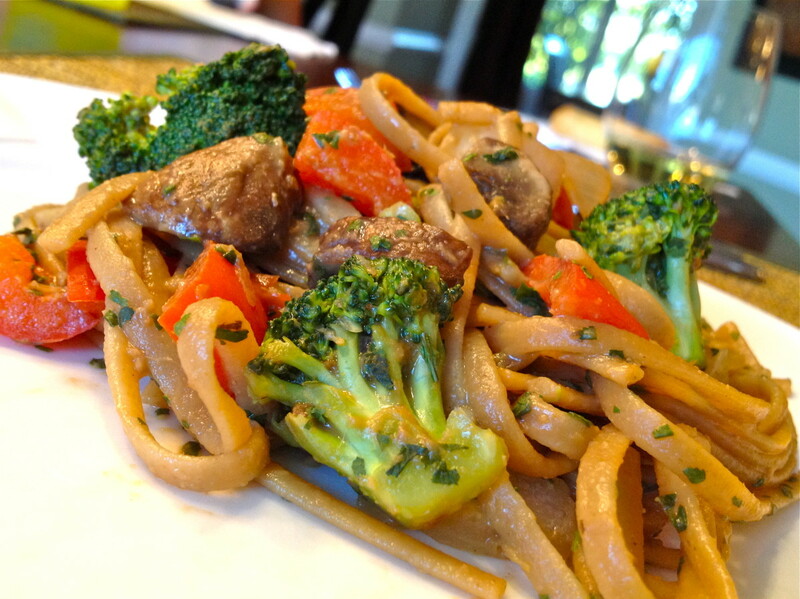 A quick, easy, and affordable recipe for stir-fry udon noodles. It's also healthy and delicious. A tweaked version of the original yaki udon, a popular Japanese dish. Is there anything more sad or uninviting than a cold bowl of rice? It makes great stir-fry (I have 2 recipes here). But there's even more that you can do. Let's explore. Discover cooking tips and unconventional ingredients that take macaroni and cheese to a new level of delicious. 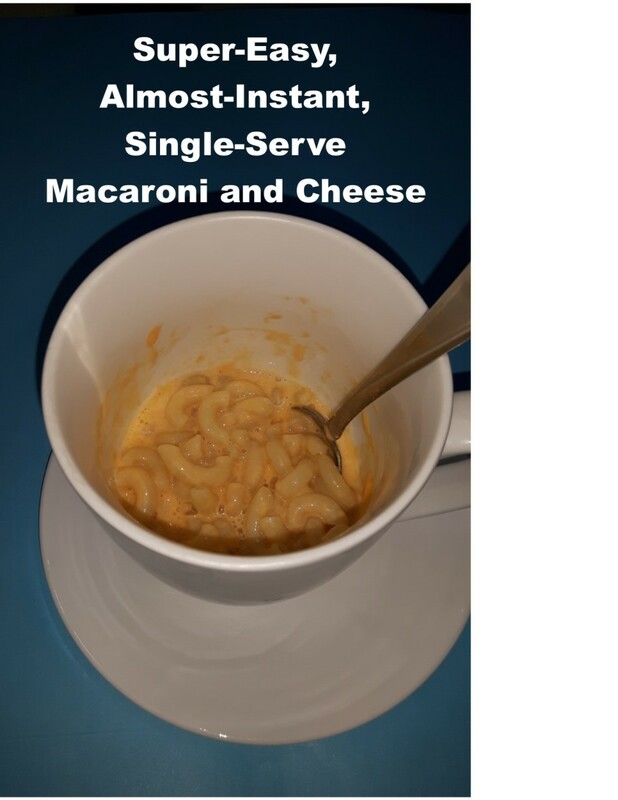 As a lifelong macaroni and cheese enthusiast, I am confident this recipe will create the most delicious version of this classic you've ever tasted. Perhaps the ultimate comfort food, macaroni and cheese is easy to make from scratch. 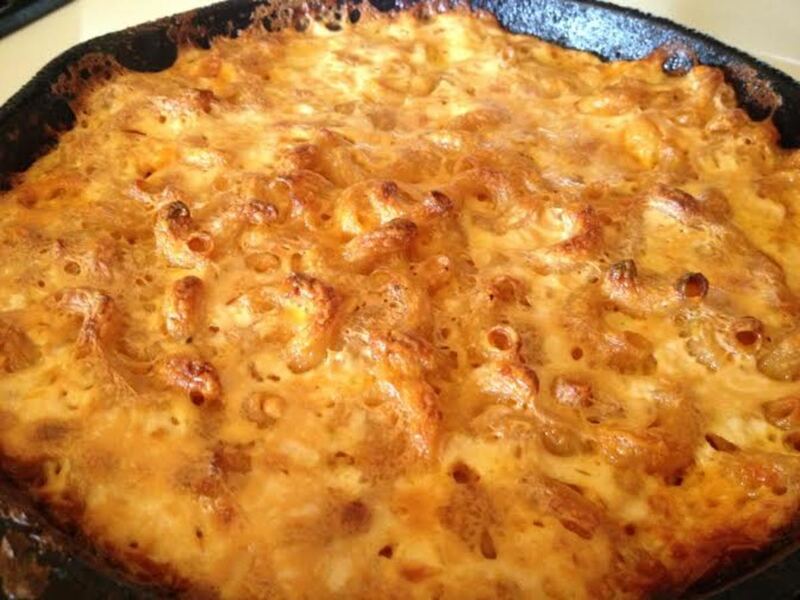 This is the recipe for making the iconic Southern Baked Macaroni and Cheese. Try it, and see how easy it is! 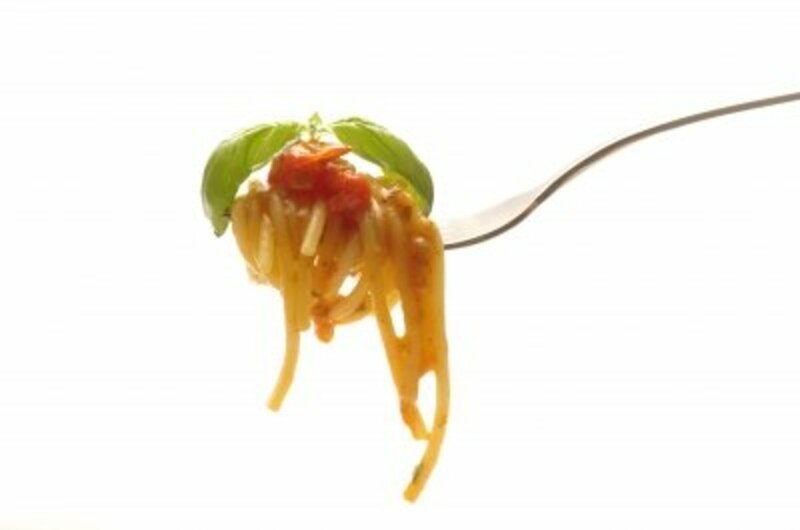 What makes a perfect plate of spaghetti and meatballs? Rich sauce, tender meatballs, and perfect al dente pasta—but not from a can or a jar. Your kitchen. You can do this. Let me show you how. Looking for the Perfect Spaghetti and Meatballs? 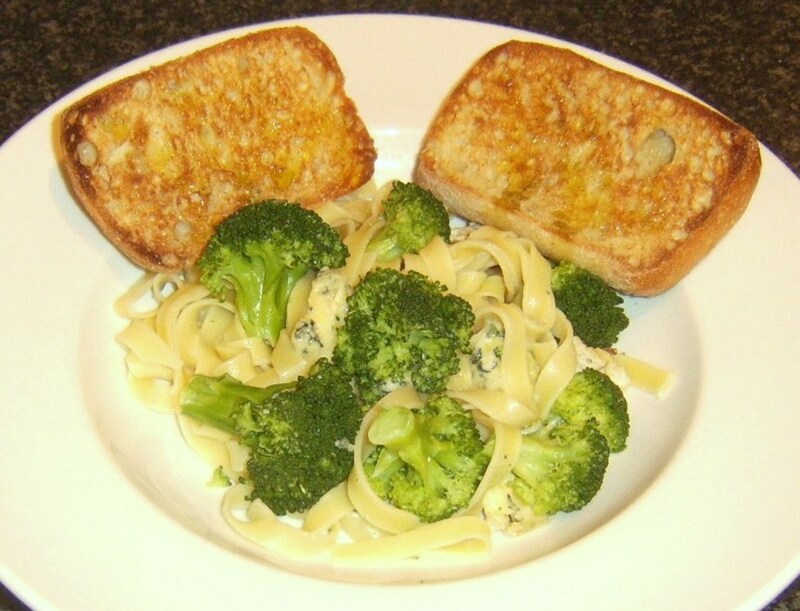 Pasta is perfect for a snack, side dish, or main dish. 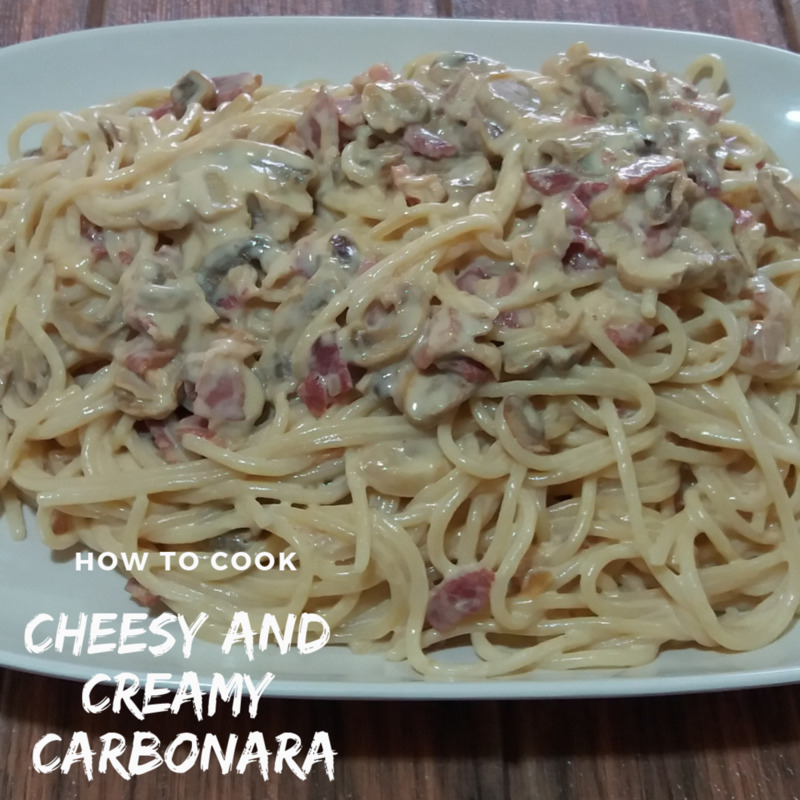 Learn how to make a creamy and cheesy carbonara using my favorite local ingredient - Angel KremQueso. There are no rules when it comes to making fried rice. The recipe is endlessly flexible, and it can be easily prepared within just a few minutes. 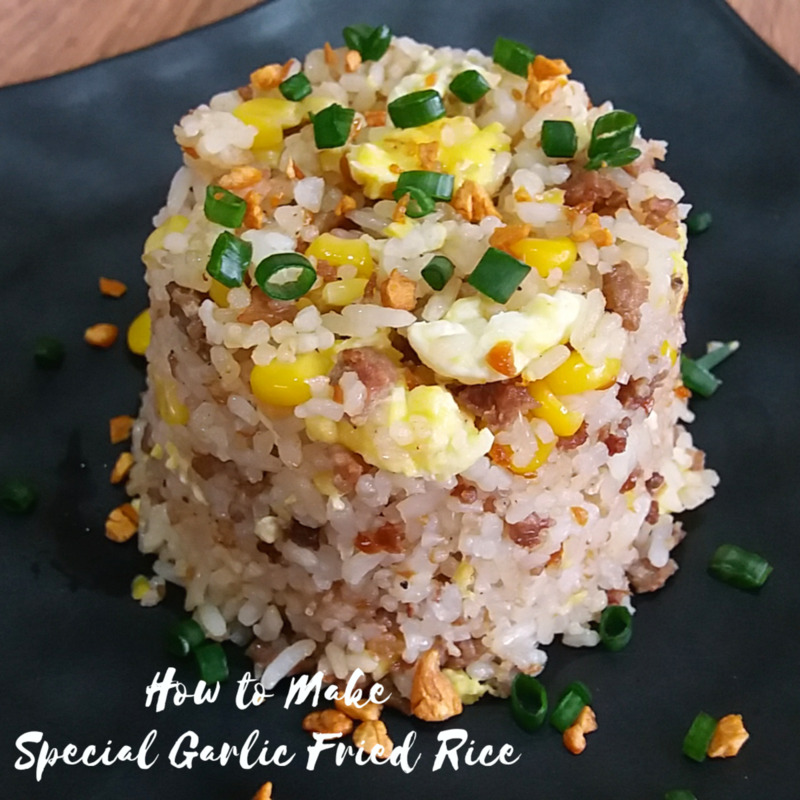 This is my recipe for special garlic fried rice. Quick and easy Indian-style matar pulao, or green peas and rice cooked with just a few aromatic spices. Recipe video included. A recipe of delicious, herby, cheese-filled meatballs served with tomato-based sauce with vegetables and your favorite pasta. This sweet and savory gnocchi dish with roasted squash and tangy blue cheese is the perfect end note to any day. 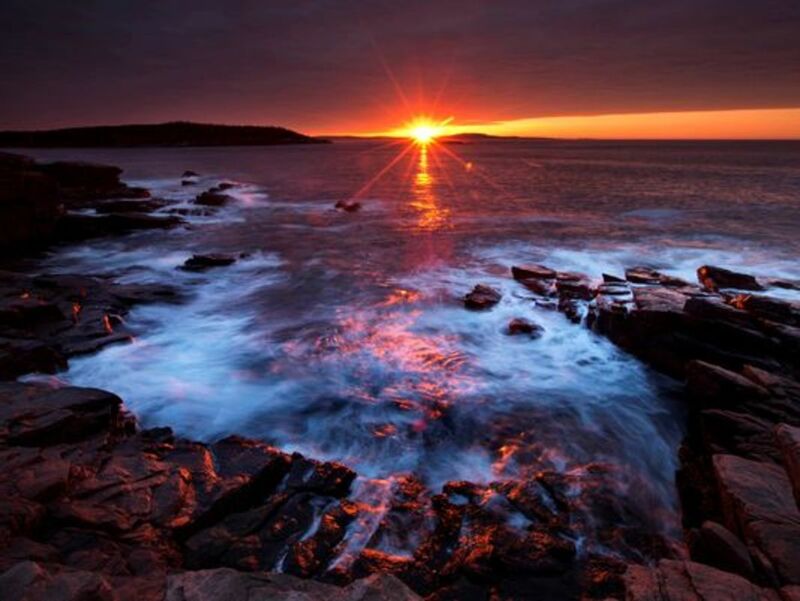 It'll be the cherry on top of a perfect day, and something to cheer you up on a less-than-stellar one. 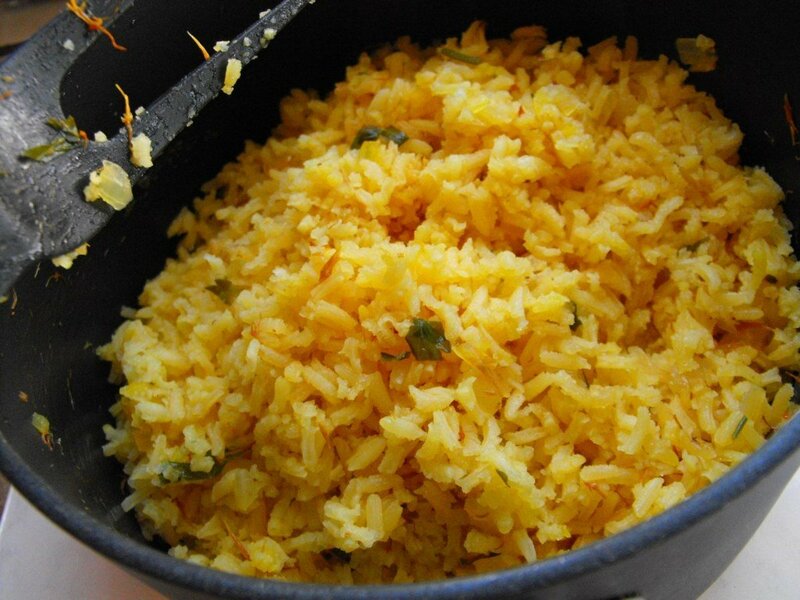 Use this traditional Mexican rice recipe to impress the whole family on taco night. Do not serve tacos without the red rice and beans. 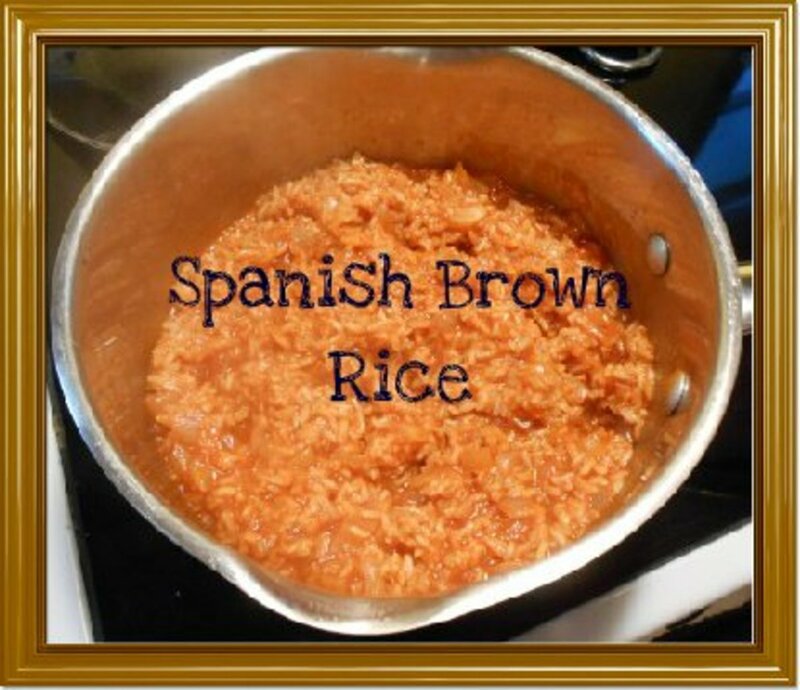 The recipe is easy and the biggest secret is to brown the rice. 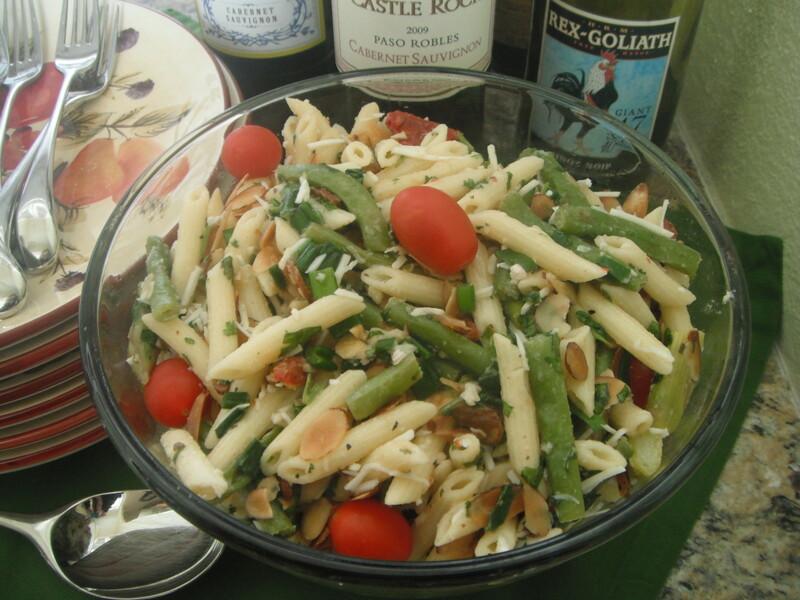 This simple pasta salad recipe is a traditional side dish at picnics and summer potlucks. This dish takes less than 30 minutes to prepare, making it the perfect last-minute recipe for any gathering. Serve as a side dish with BBQ chicken, or eat it on its own as a tasty lunch! Quick meals don't have to taste "rushed." 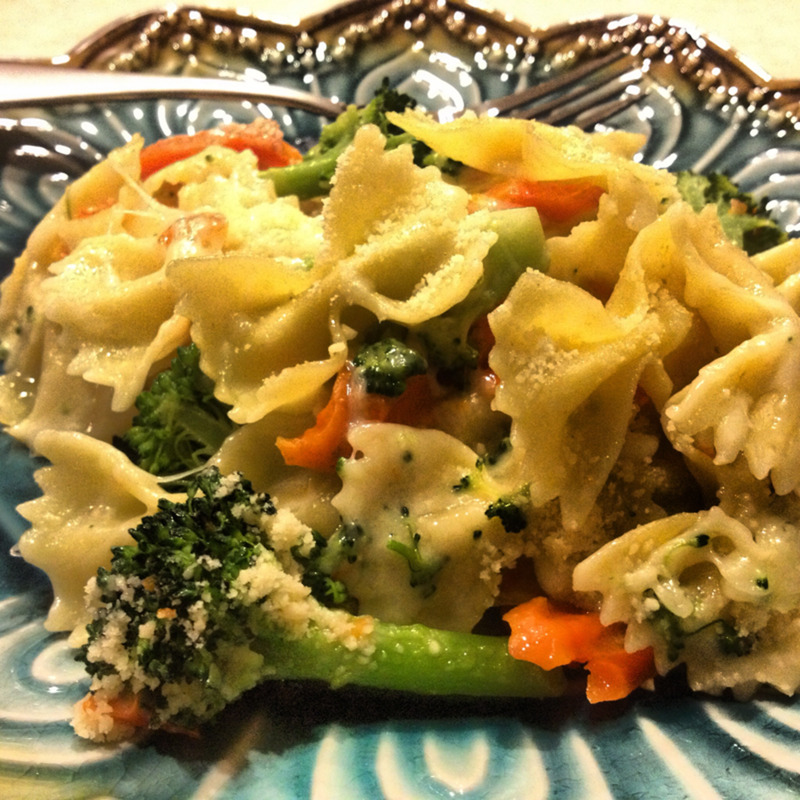 This casserole is one of the yummiest dinners I can make-- and I don't have to slave all day. In a mere twenty minutes you have a satisfying meal made from a few easy and fresh ingredients. 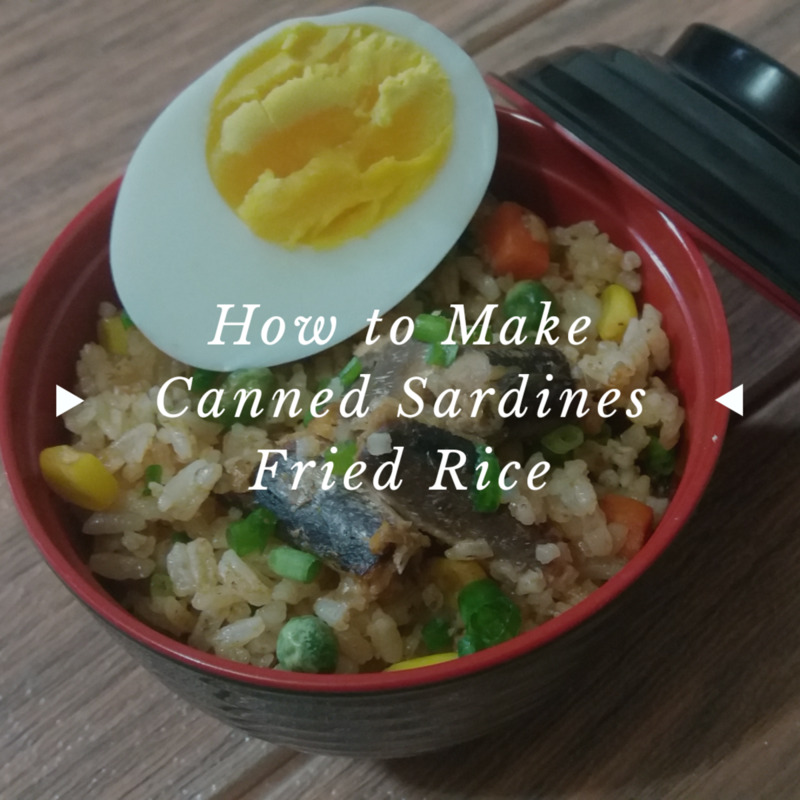 Have you tried adding canned sardines to your fried rice? I tried doing this and was pleasantly surprised by the delicious results. Take your boring canned sardines to the next level. 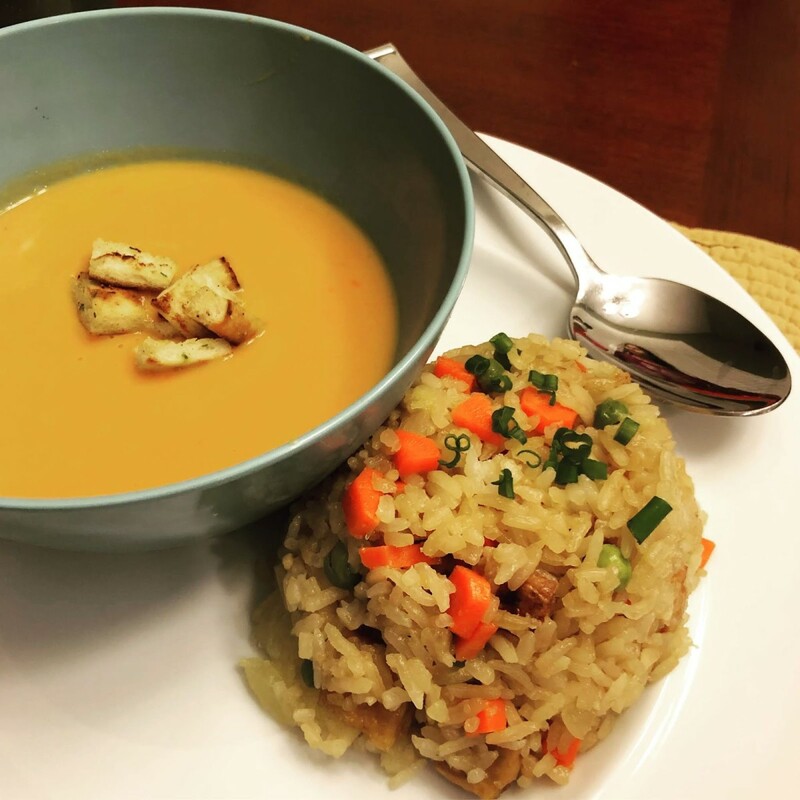 Arroz con gandules is an inexpensive, perfect mix of protein, carbohydrates, veggies, and deliciousness. 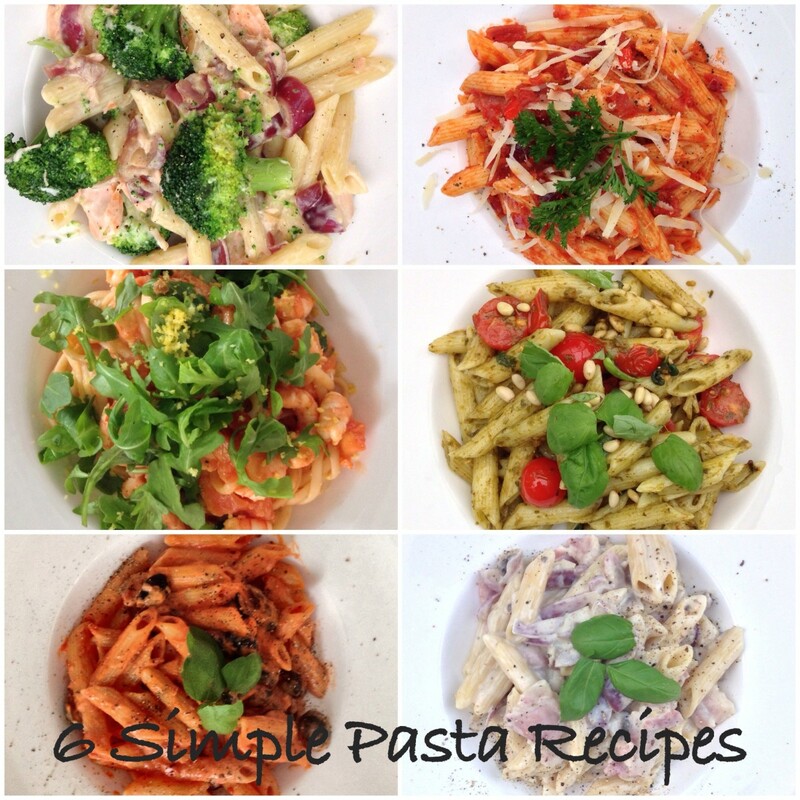 6 quick and easy pasta recipes. 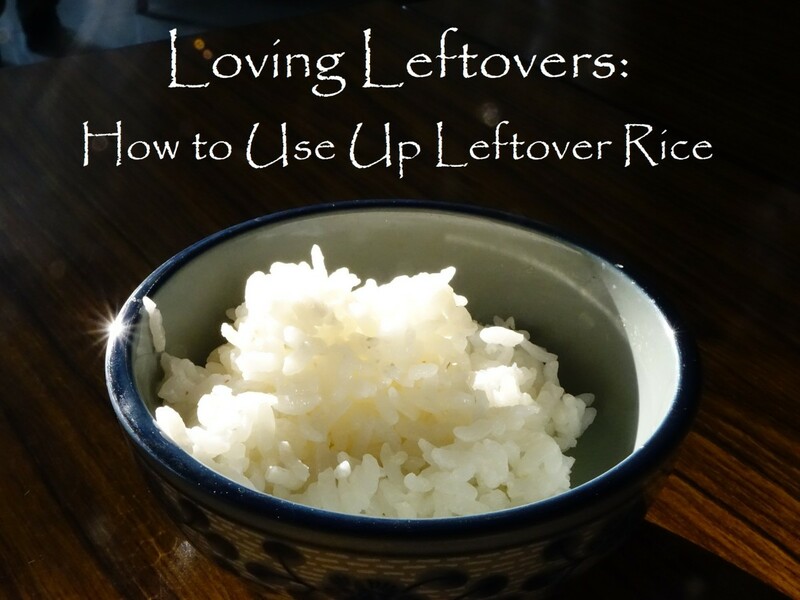 Do you love rice? 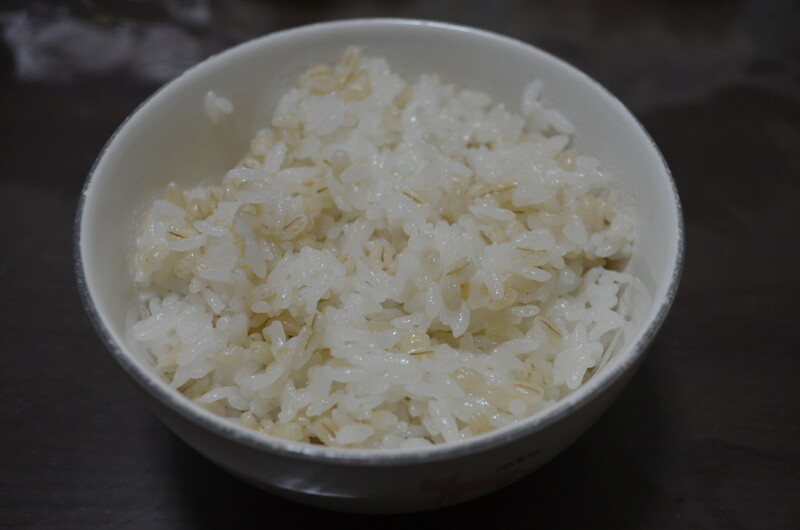 I love eating rice for breakfast because it's a great source of energy to kick-start my day. 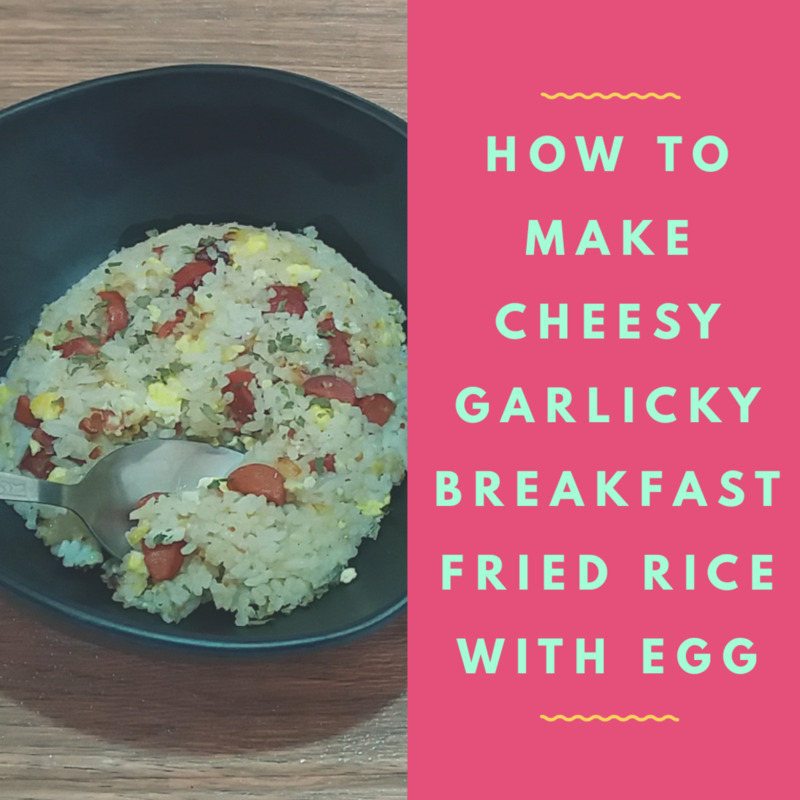 This is a recipe for a simple breakfast that is packed with flavorful taste. Crunchy vegetables, queso fresco, and quinoa are combined with a tart lime juice and fresh cilantro dressing to form a salad that is delightful both as a side dish as well as on its own. This creamy avocado spaghetti is just what you need for an easy but delicious dinner! The avocado sauce is flavorful, and the veggies make the dish both pretty and tasty. 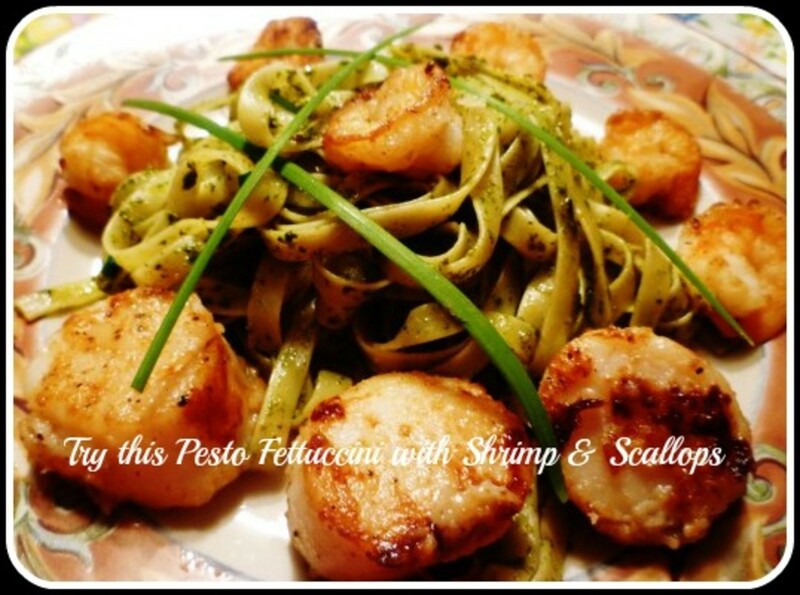 The basil and lemon bring out really bright flavors in the sauce, making it a meal you'll definitely want to try! Rice, caramelized onions, rich Gruyere and Parmesan cheeses--all perfectly blended in a savory side dish. Try my moma's red beans and rice recipe, and you will wonder how you could have overlooked the hearty red bean before. Small red beans are not only tasty, but are packed with incredible health benefits. Come taste some! 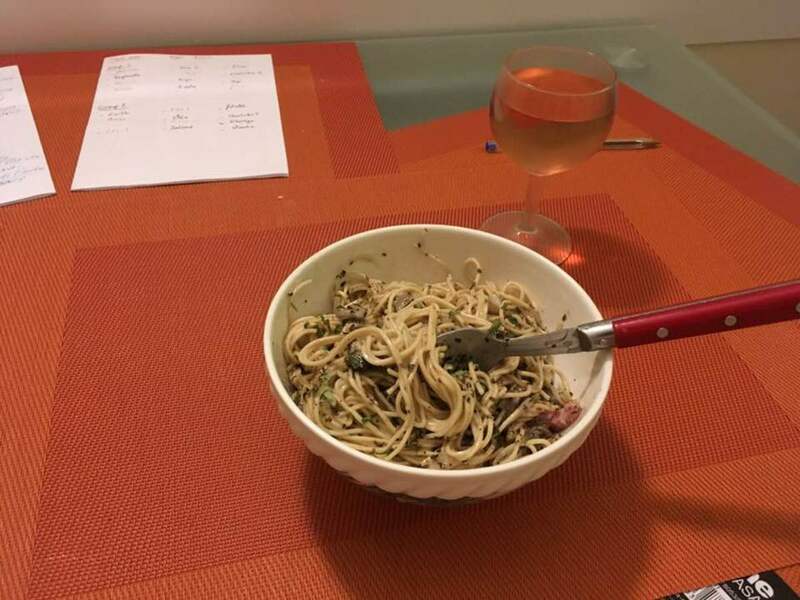 Spaghetti makes a great dinner. What's not to love about toothy strands and red sauce? But when it's old and cold? Let's find a new purpose for yesterday's pasta dinner. 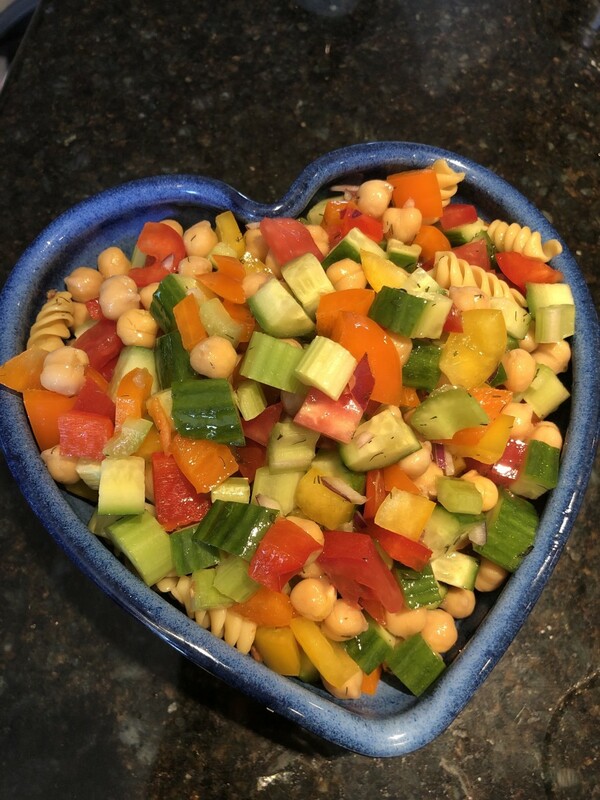 A pasta salad is delicious with a creamy or an vinaigrette dressing. 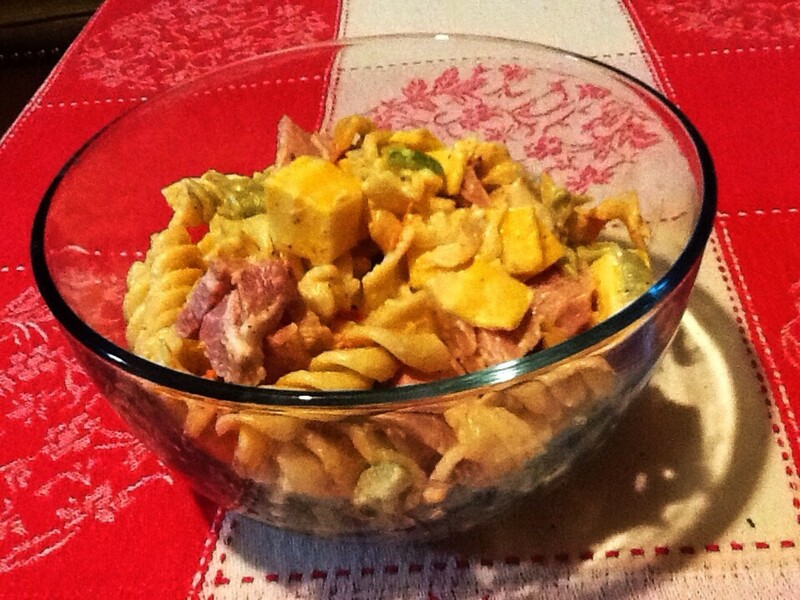 This recipe for creamy cheesy rotini salad is so flavorful. Make for a salad or a meal. Make it to your taste! 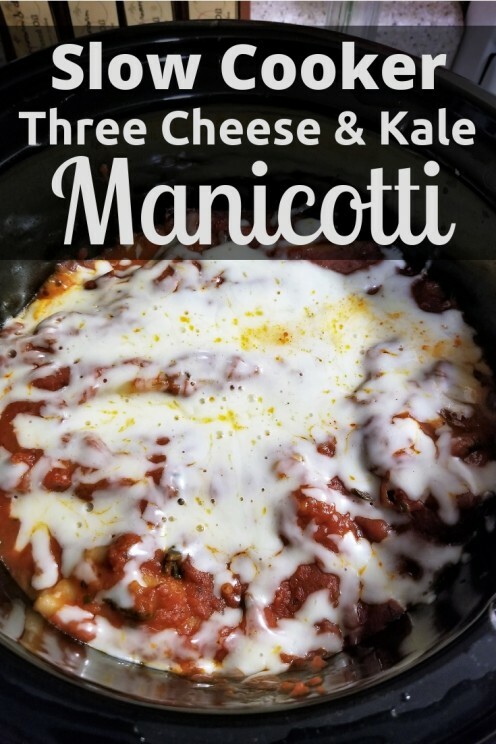 It's so easy to make stuffed manicotti in the slow cooker. 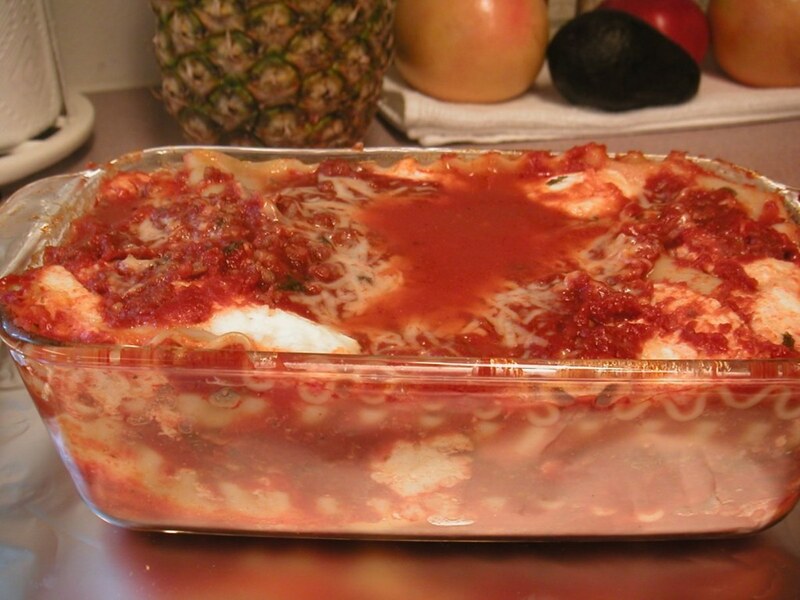 Just prepare your filling, stuff the uncooked manicotti noodles, and cover in tomato sauce. You don't even have to boil the noodles first. How to make fresh ramen noodles from scratch! 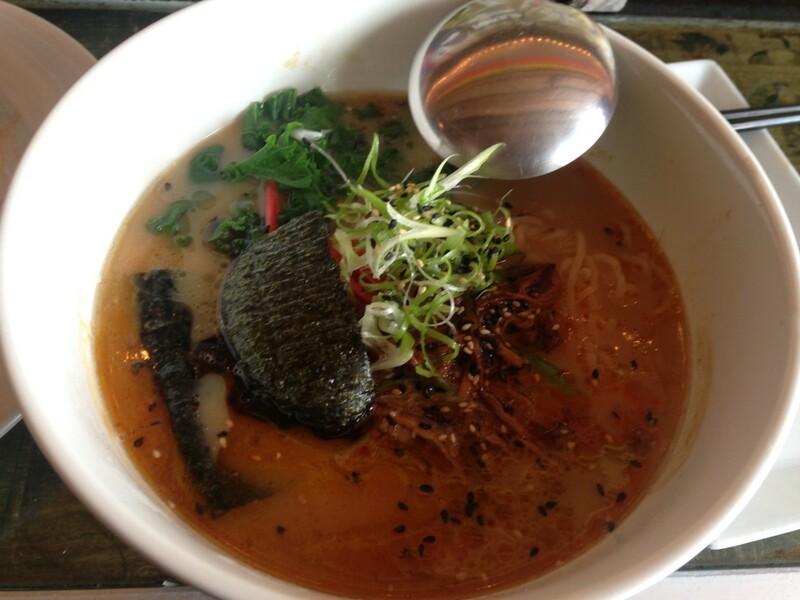 I wouldn't call this one easy, but if you love ramen it is a must. 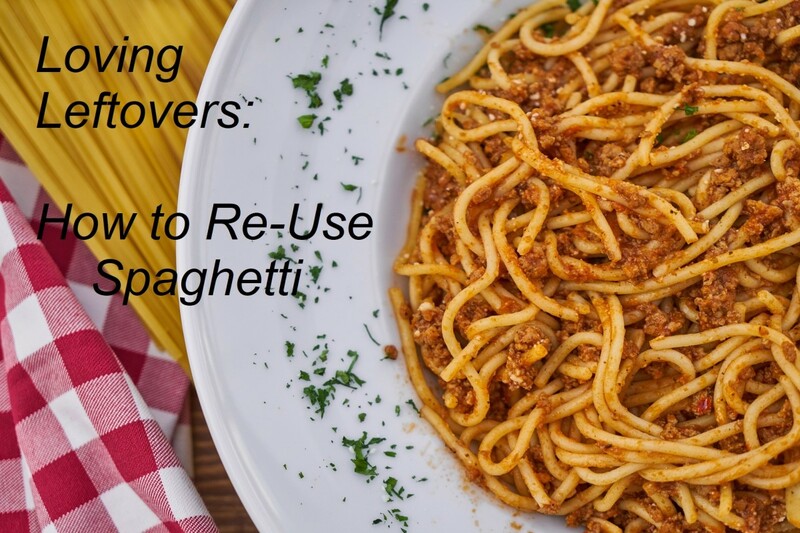 You've got to ditch those store noodles! 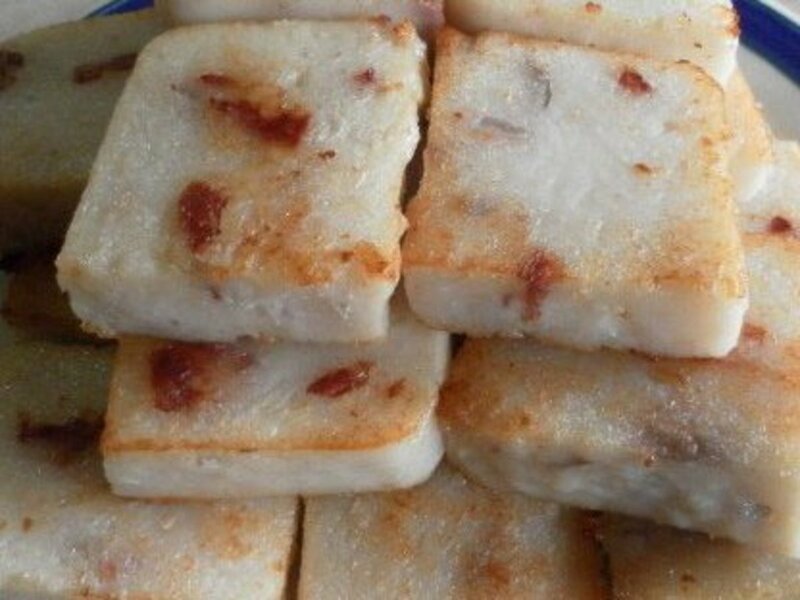 Easy recipes for making steamed white radish cake and fried radish cake. 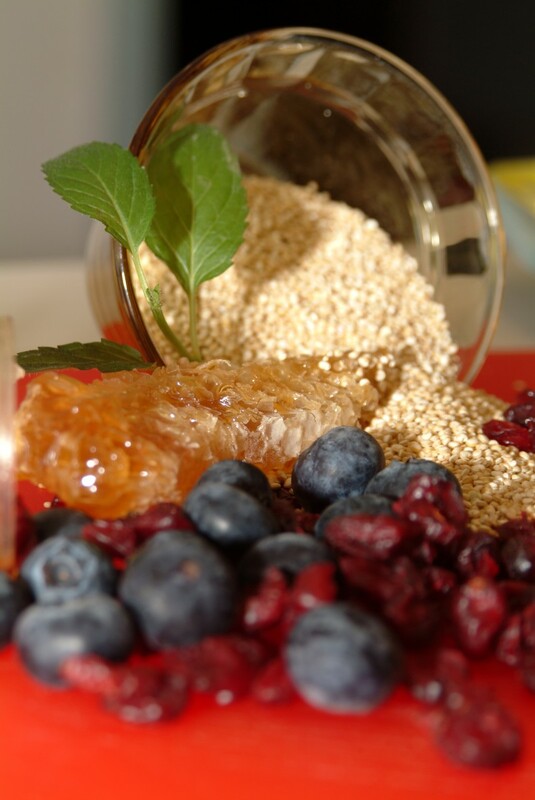 Oats are so much more than a bowl of cereal. 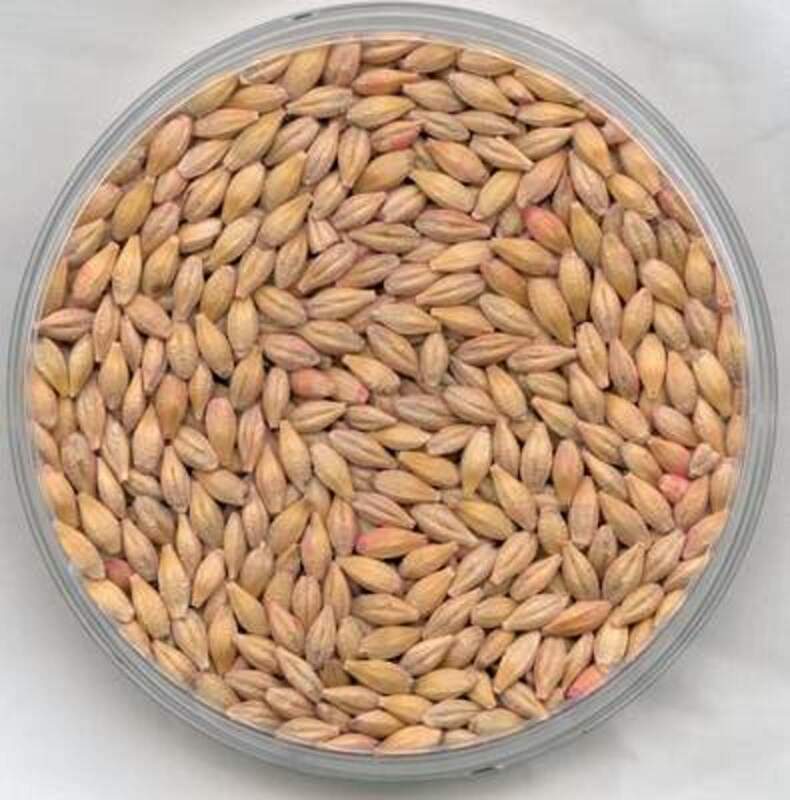 They're one of the oldest grasses, ancient when they were cultivated in 1,000 B.C. Let me share with you their history and how to cook and bake with them.